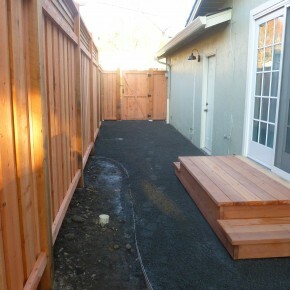 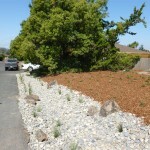 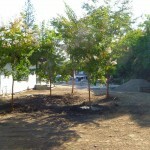 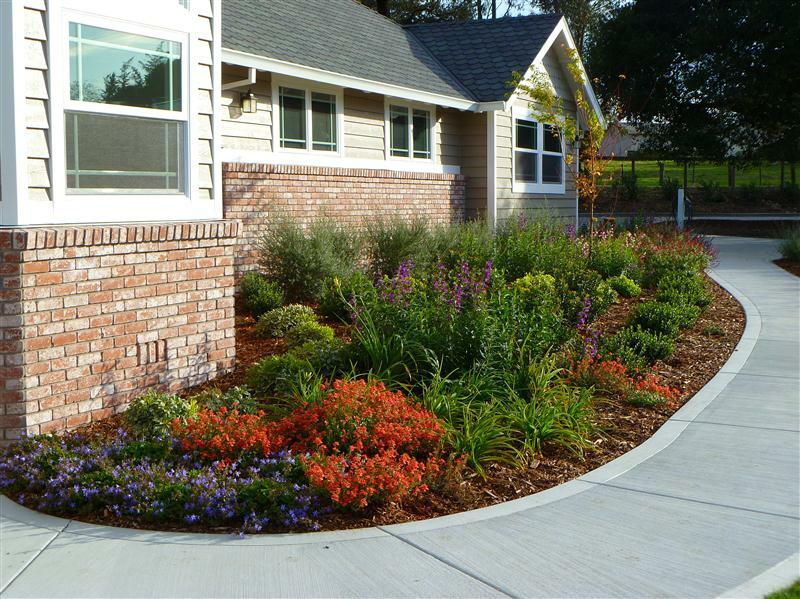 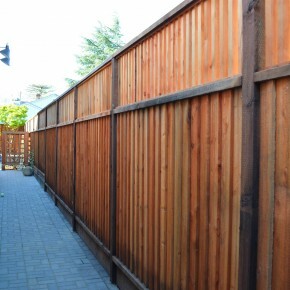 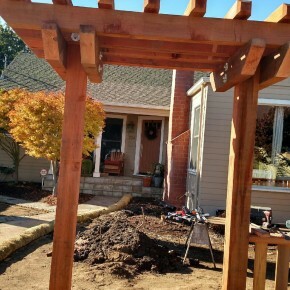 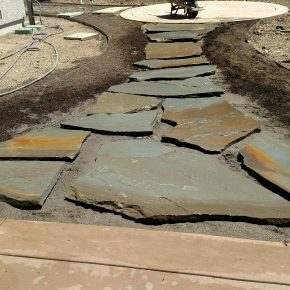 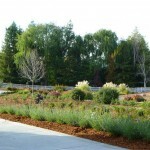 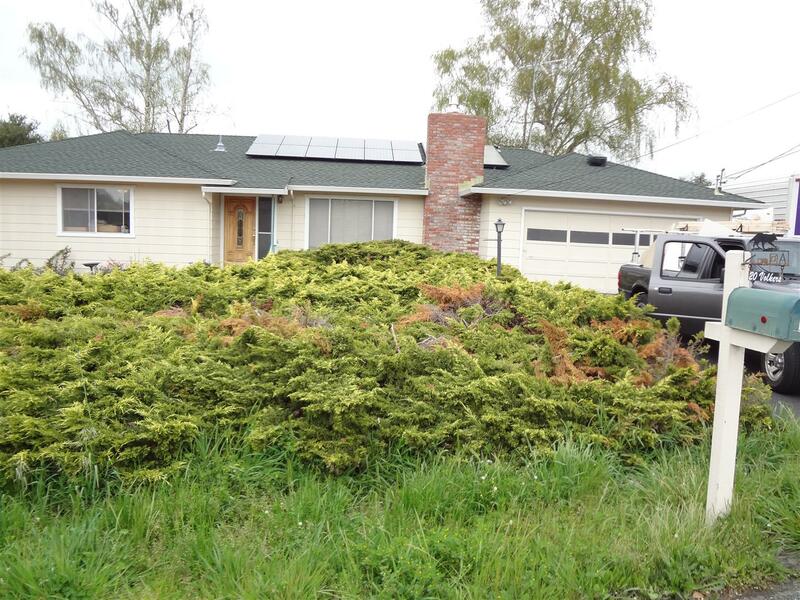 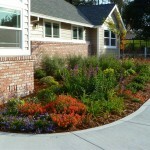 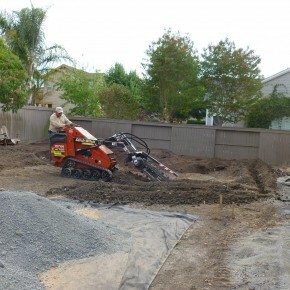 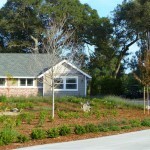 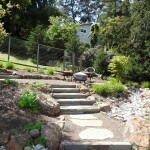 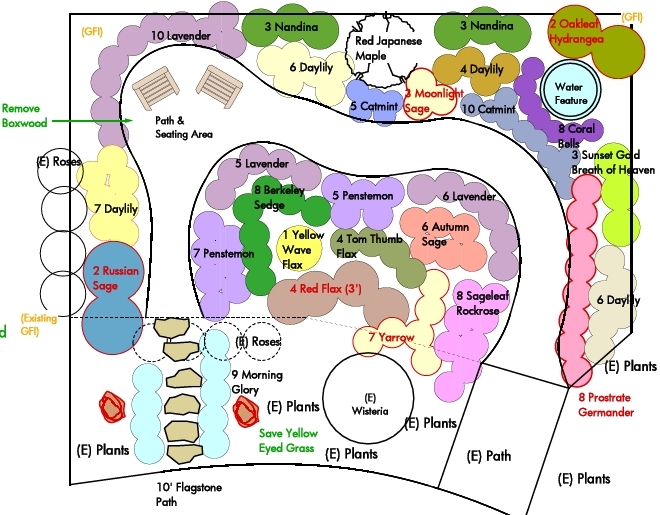 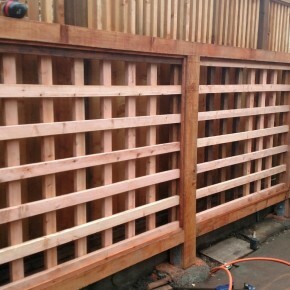 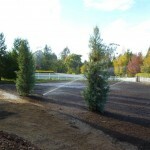 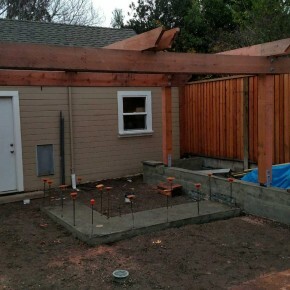 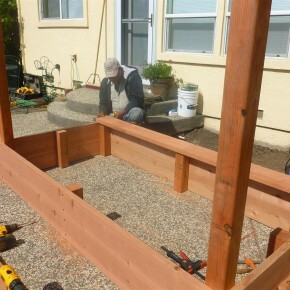 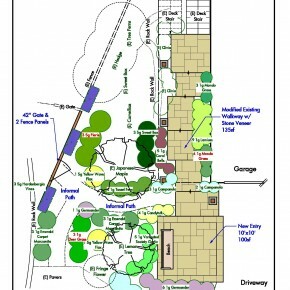 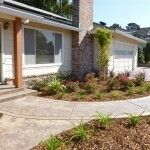 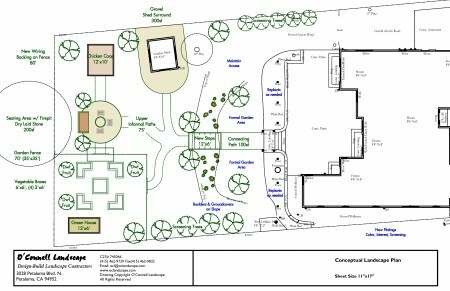 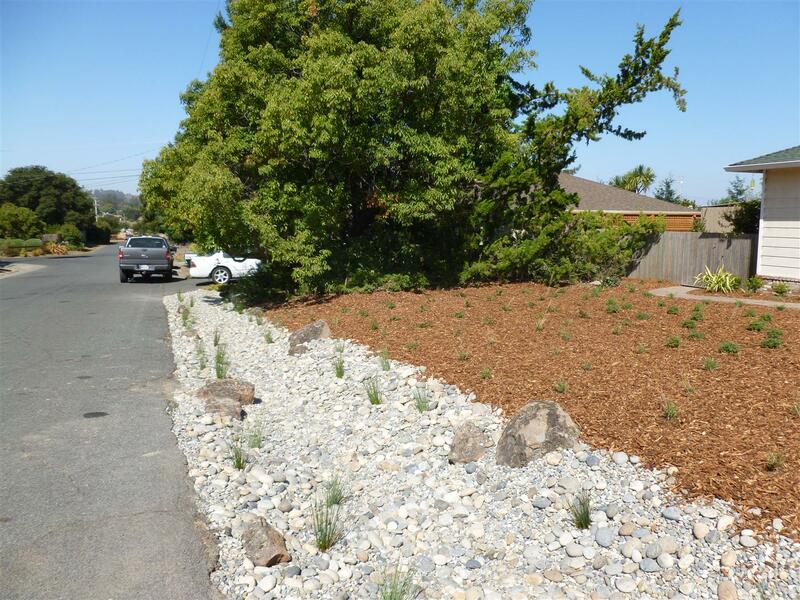 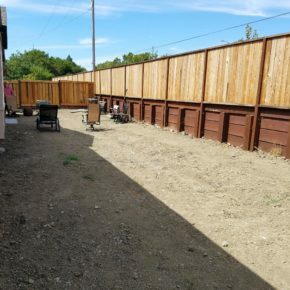 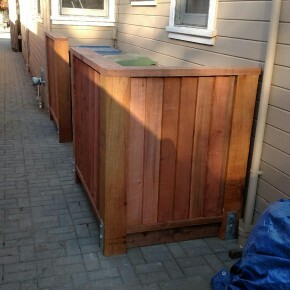 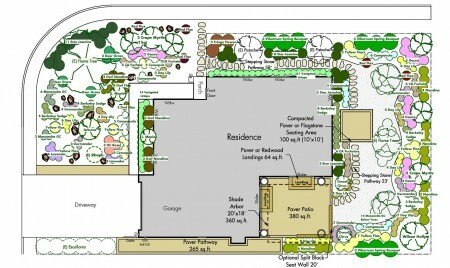 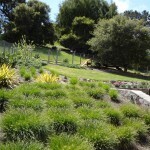 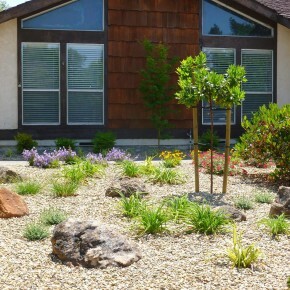 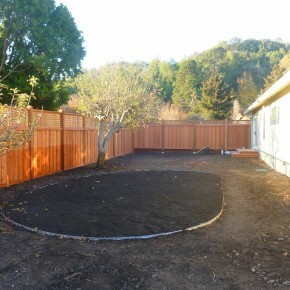 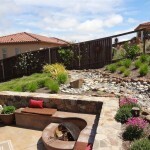 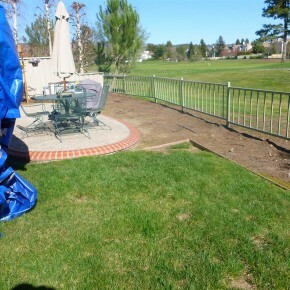 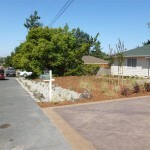 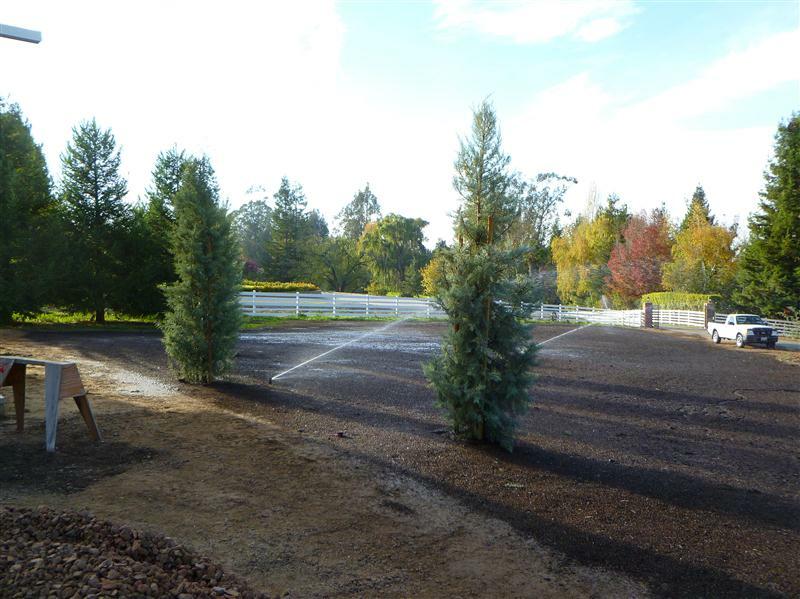 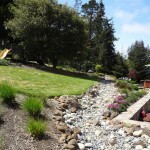 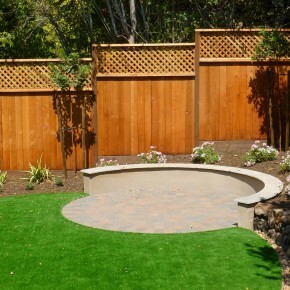 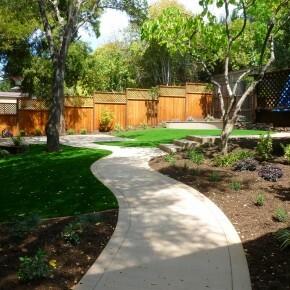 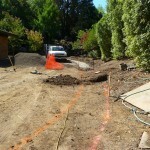 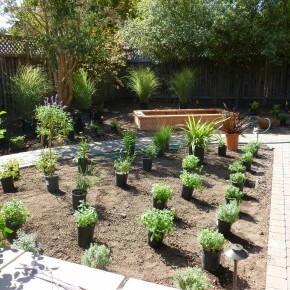 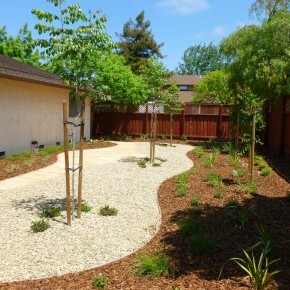 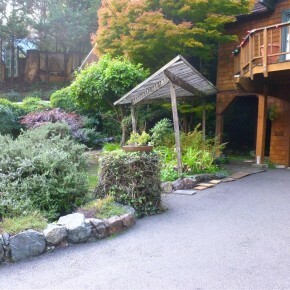 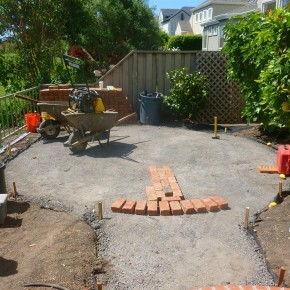 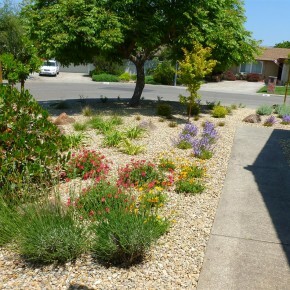 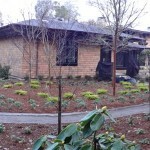 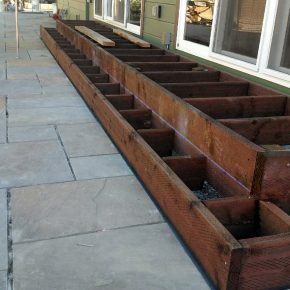 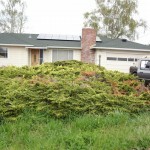 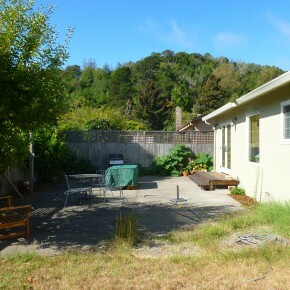 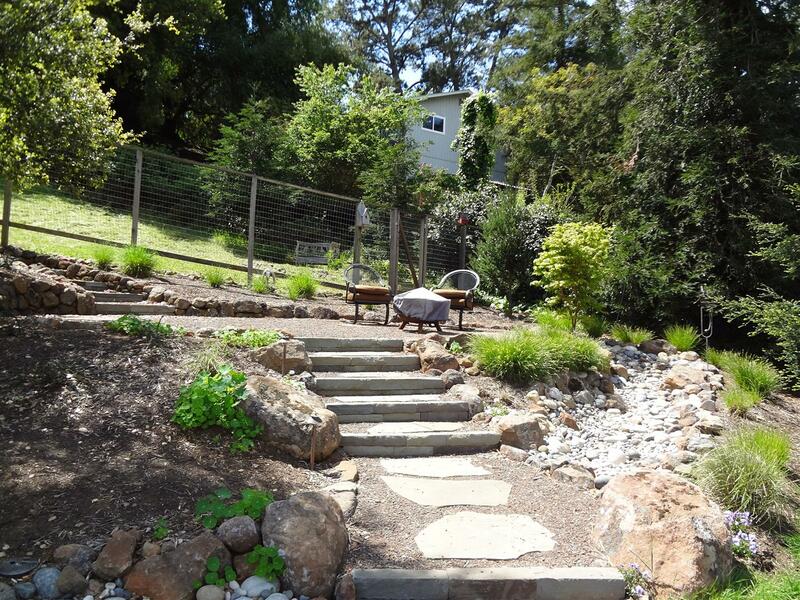 We are in construction on an extensive landscape project incorporating all new front and back yard work in West Petaluma. 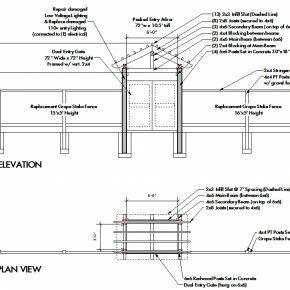 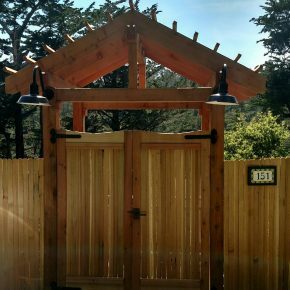 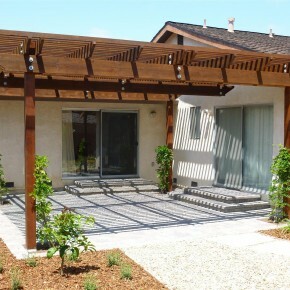 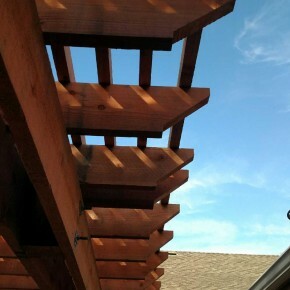 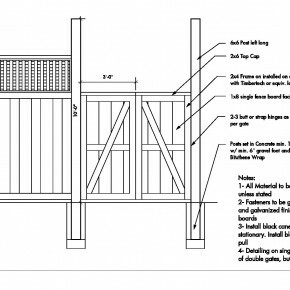 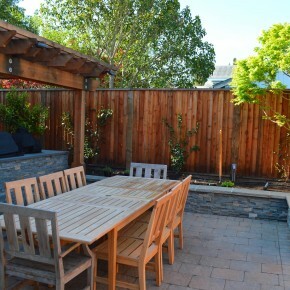 The design incorporates new fencing and paving throughout, with the back yard featuring a new pergola, patio and outdoor kitchen. 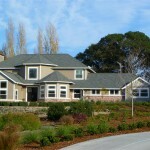 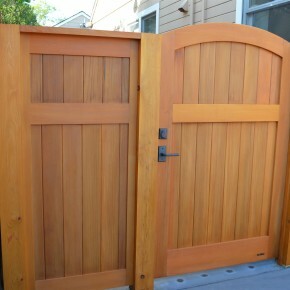 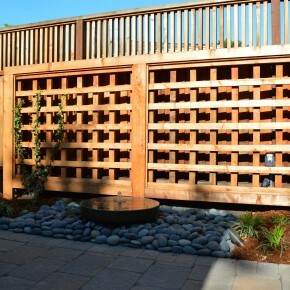 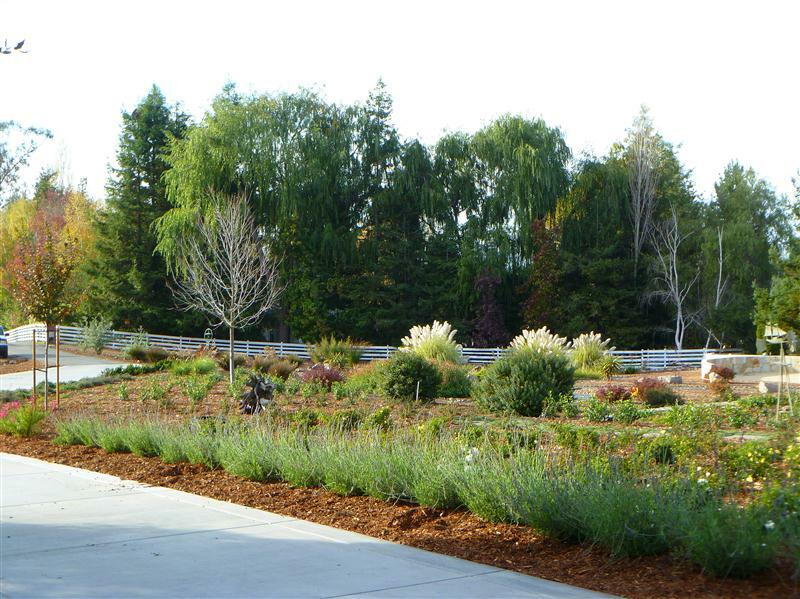 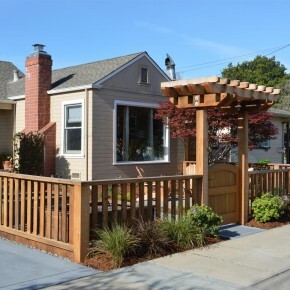 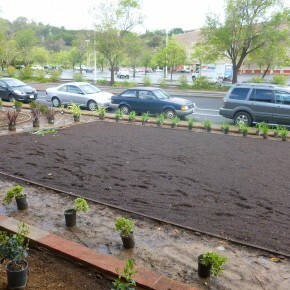 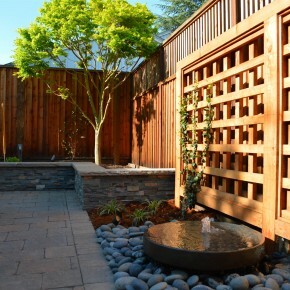 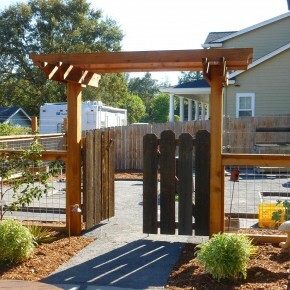 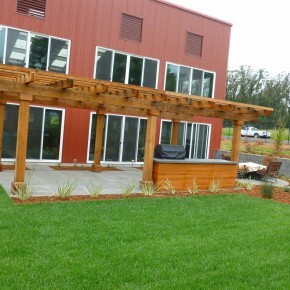 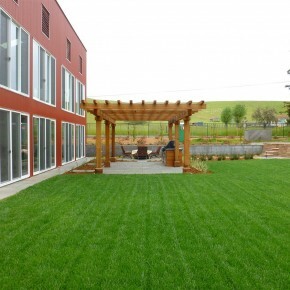 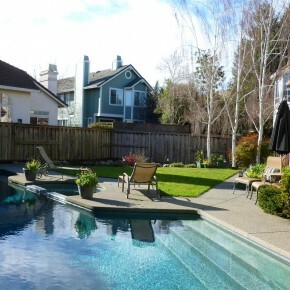 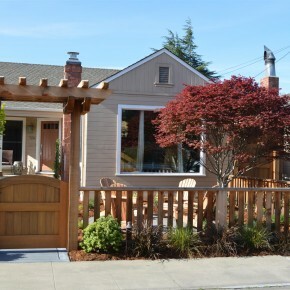 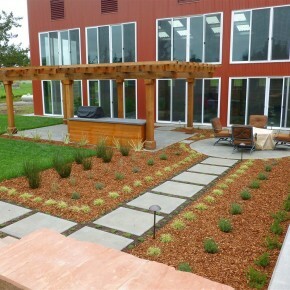 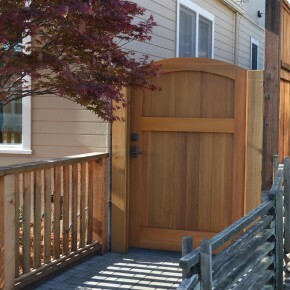 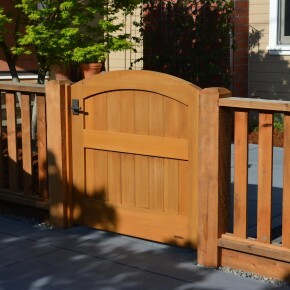 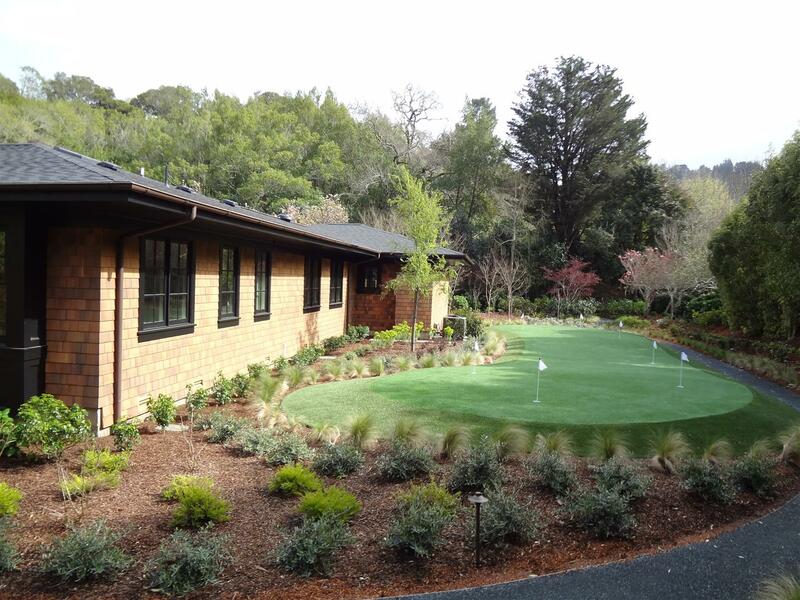 Last year brought more interesting and beautiful projects in both Marin and Sonoma Counties. 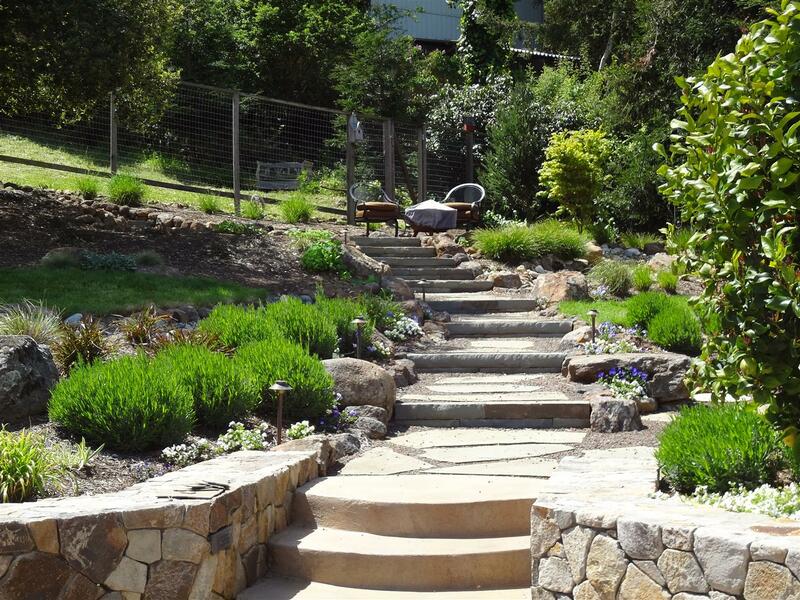 Below you’ll find a gallery of some of our 2015 highlights. 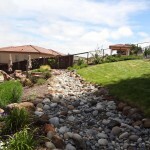 The spring seems to be coming early this year with all of the warm weather this winter. 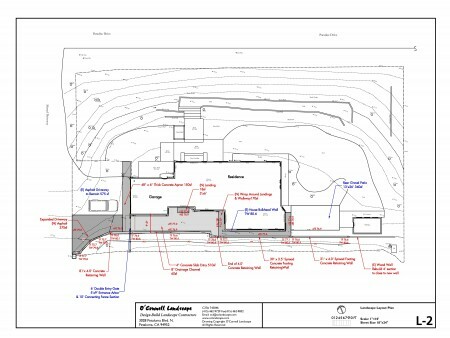 Here are some images from four different design projects in different stages of conceptual development. 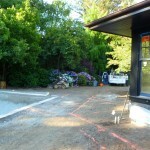 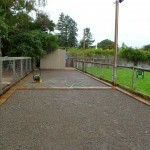 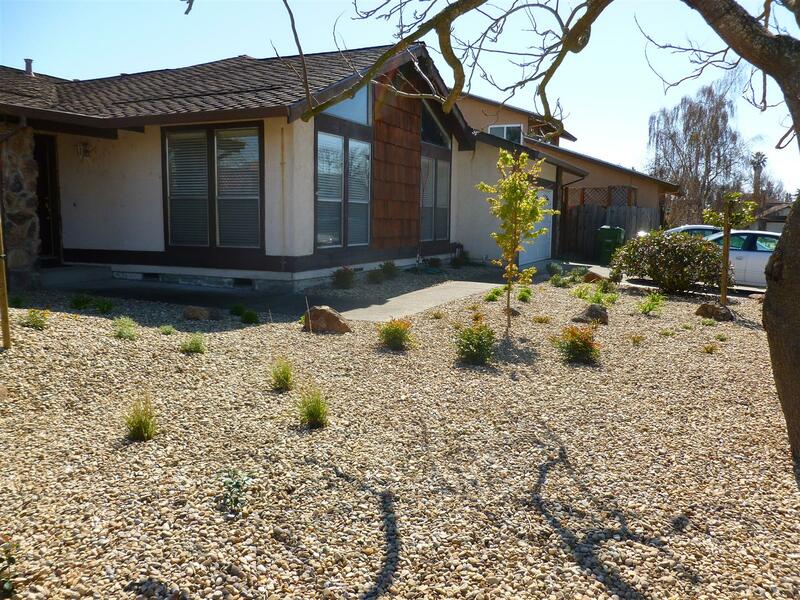 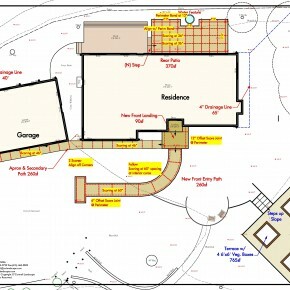 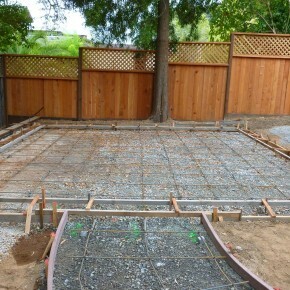 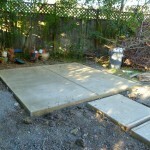 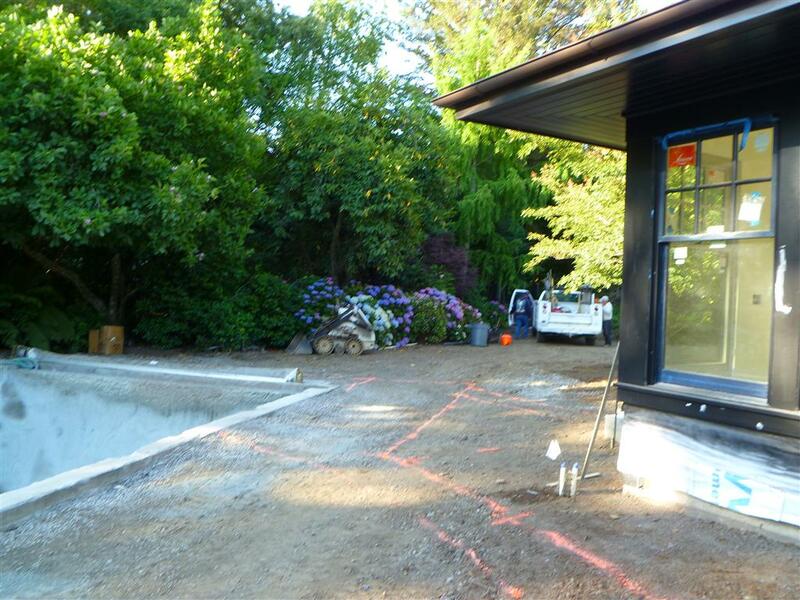 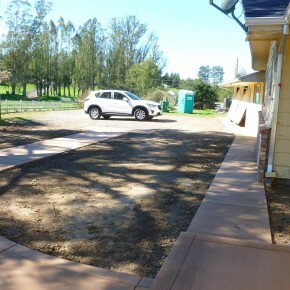 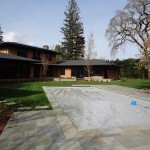 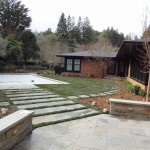 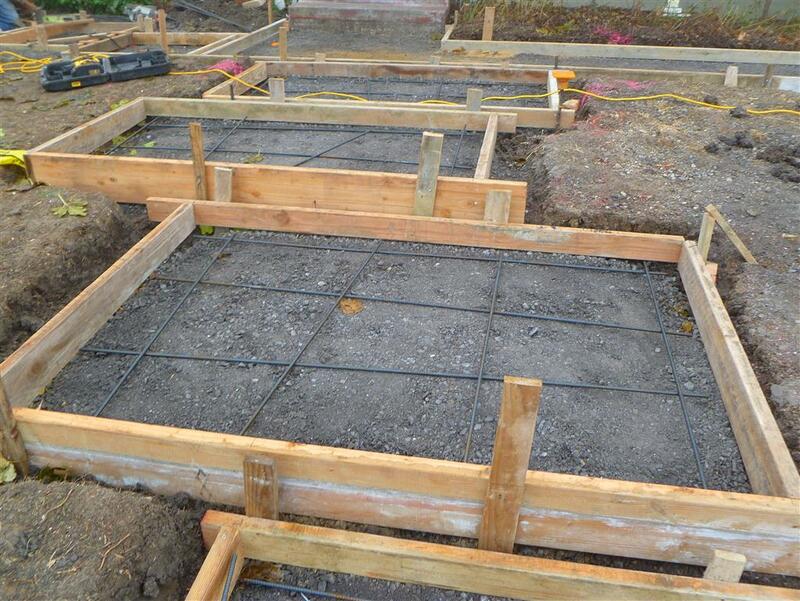 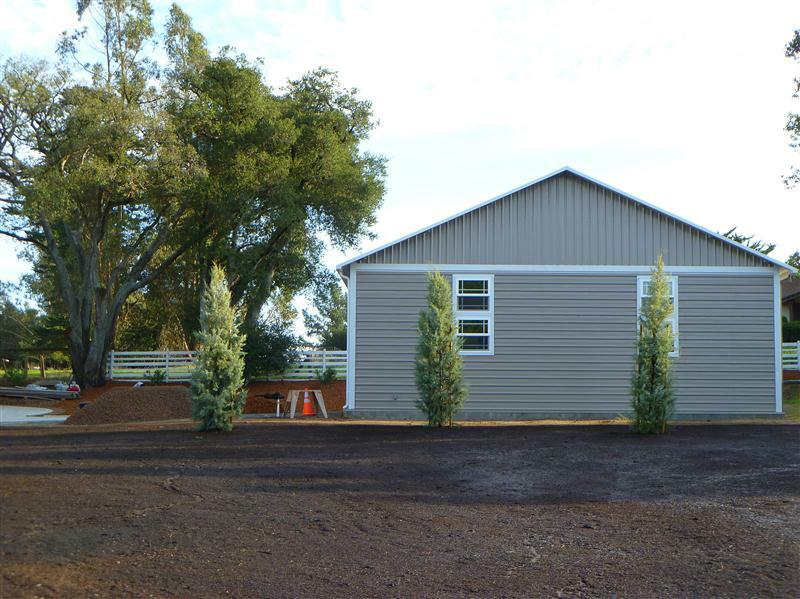 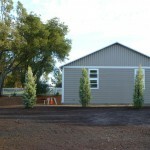 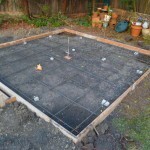 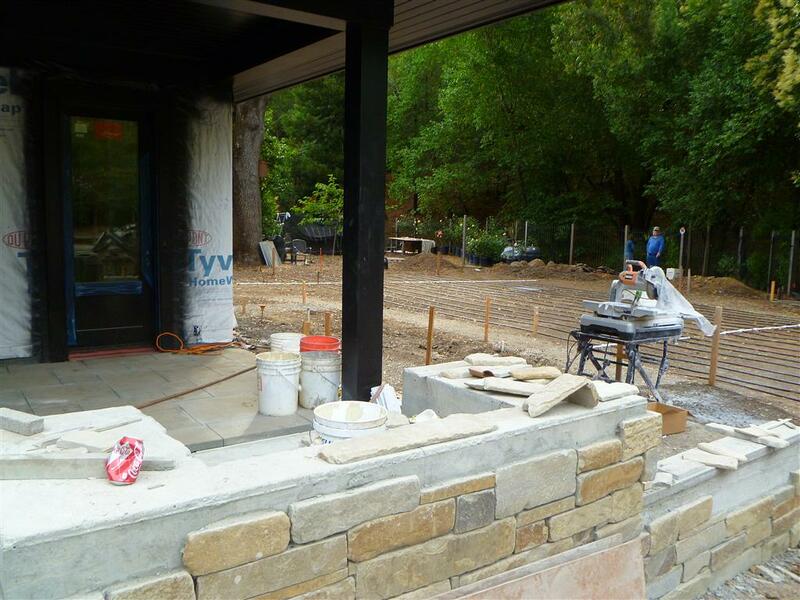 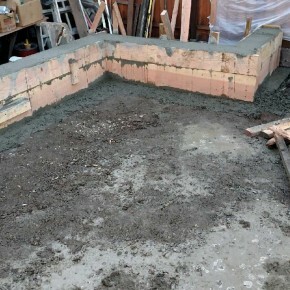 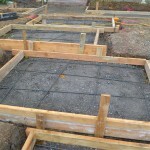 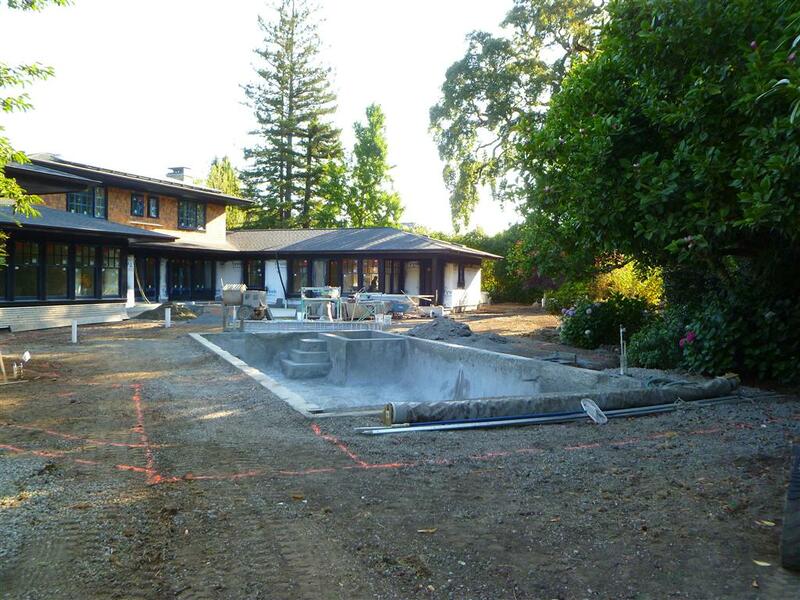 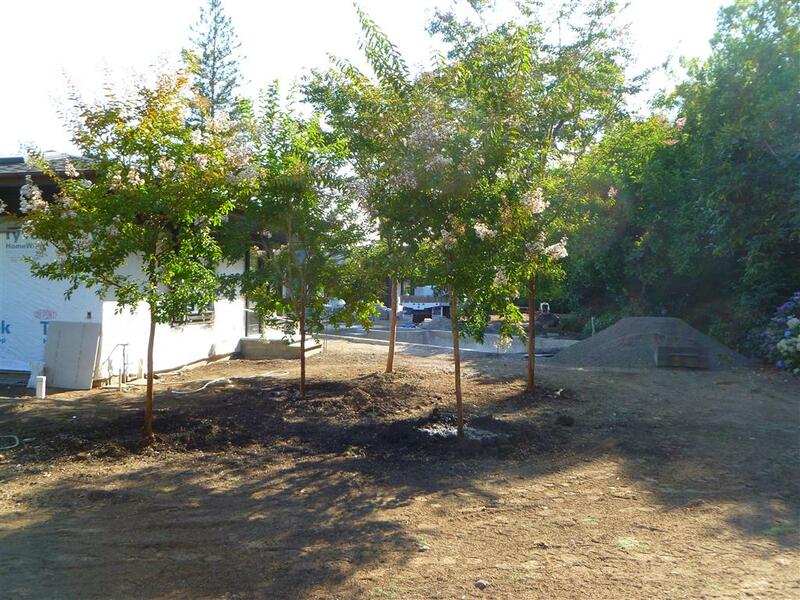 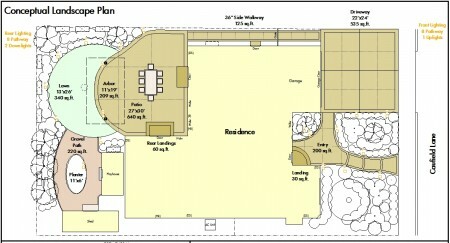 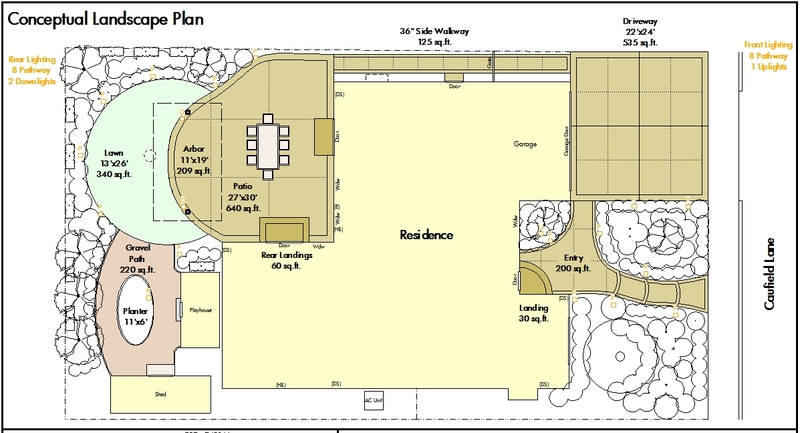 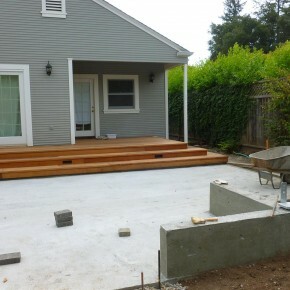 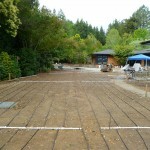 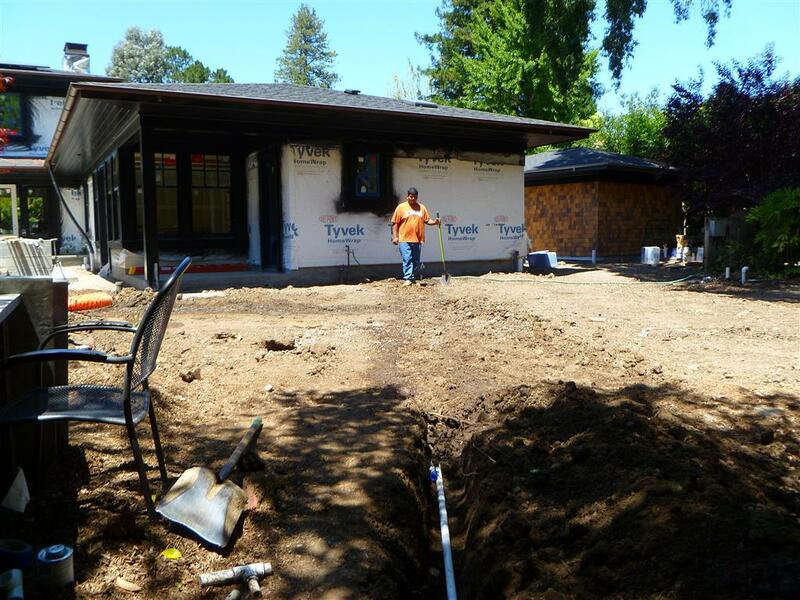 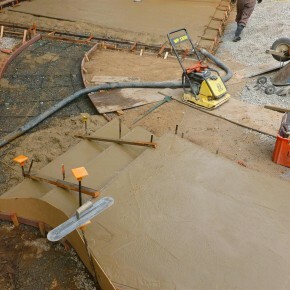 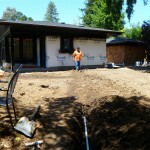 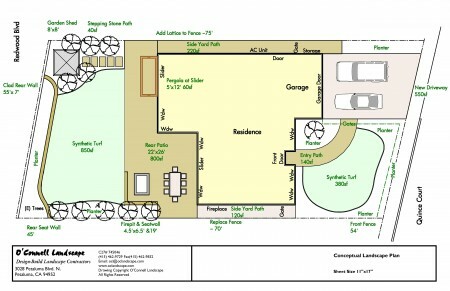 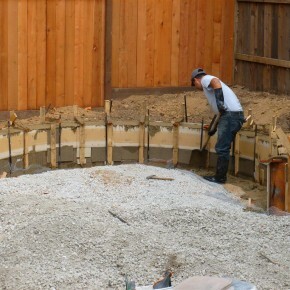 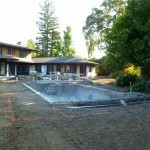 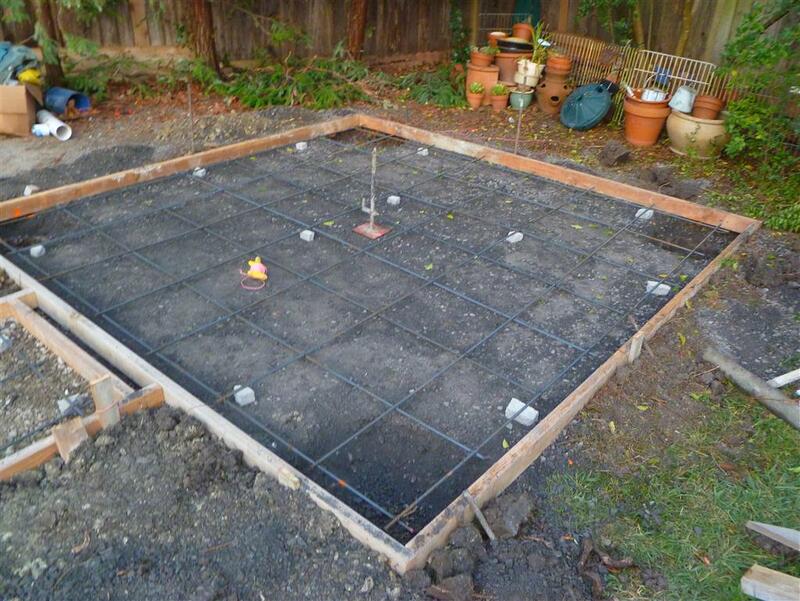 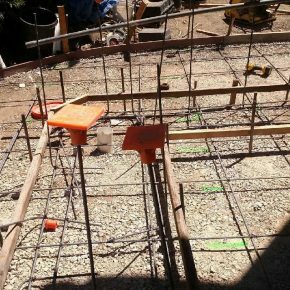 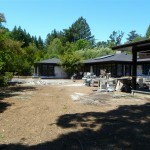 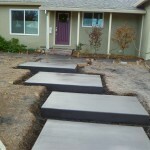 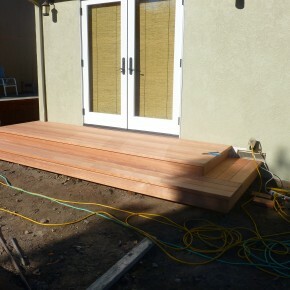 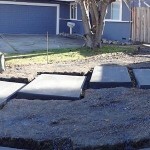 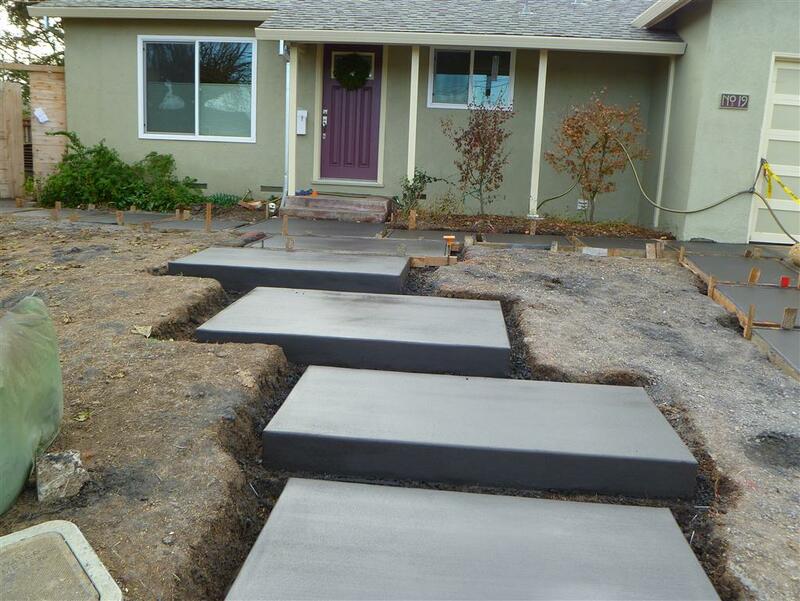 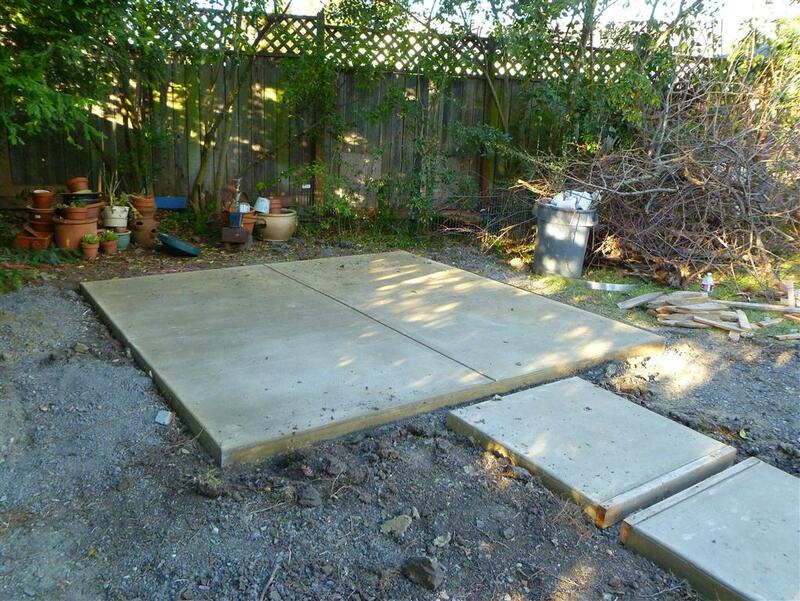 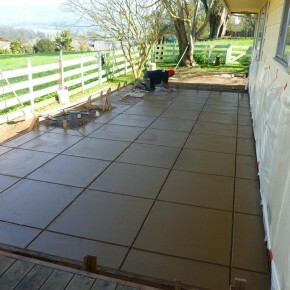 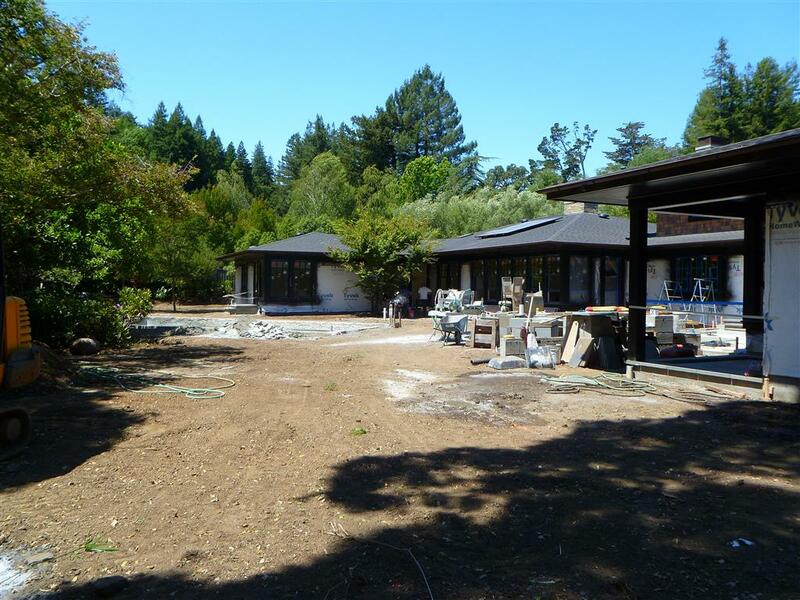 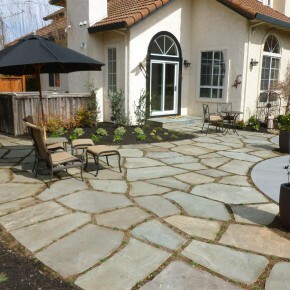 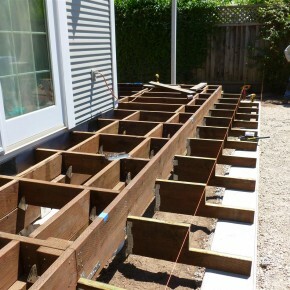 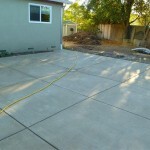 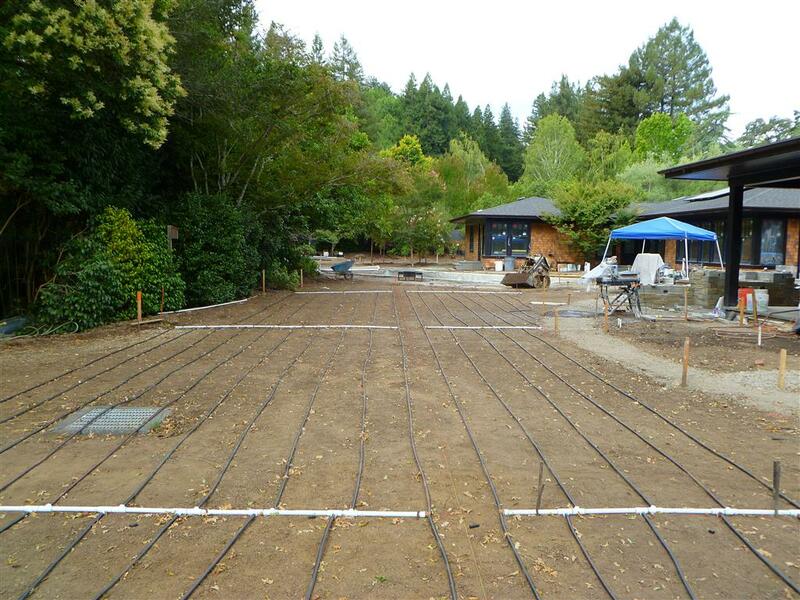 For this ranch house in Cotati we are working on new concrete patios and walkways in the front and back yards. 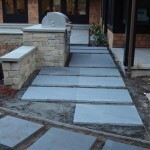 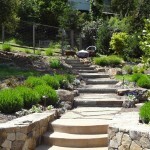 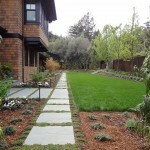 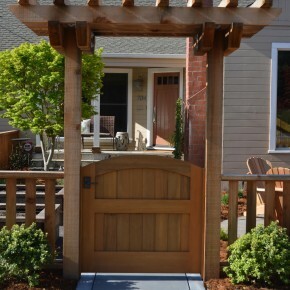 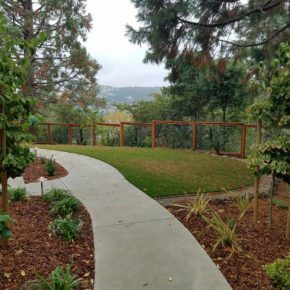 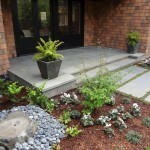 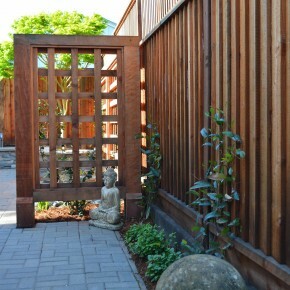 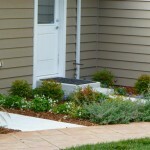 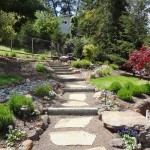 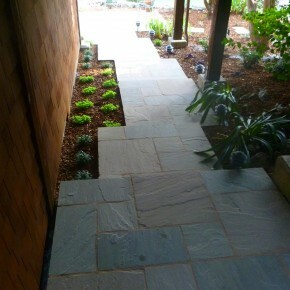 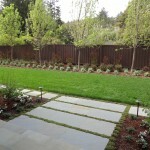 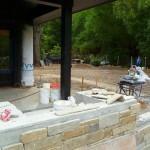 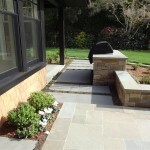 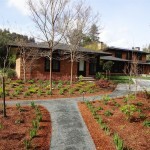 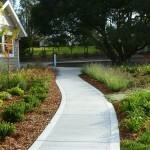 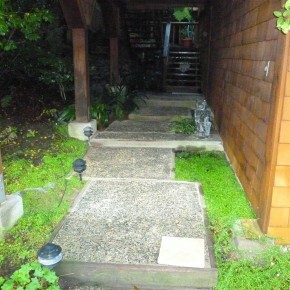 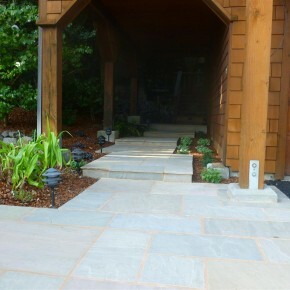 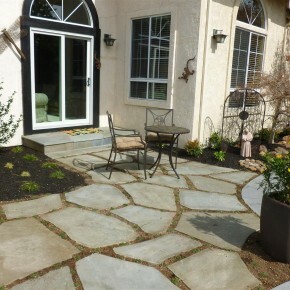 These new walkways create a new sense of entry to the front of the house and modernize the landscape. 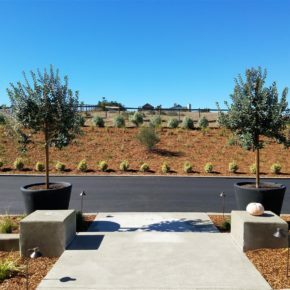 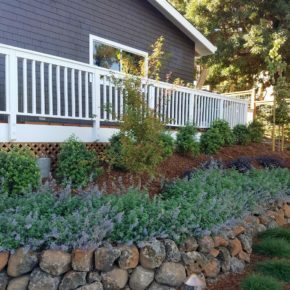 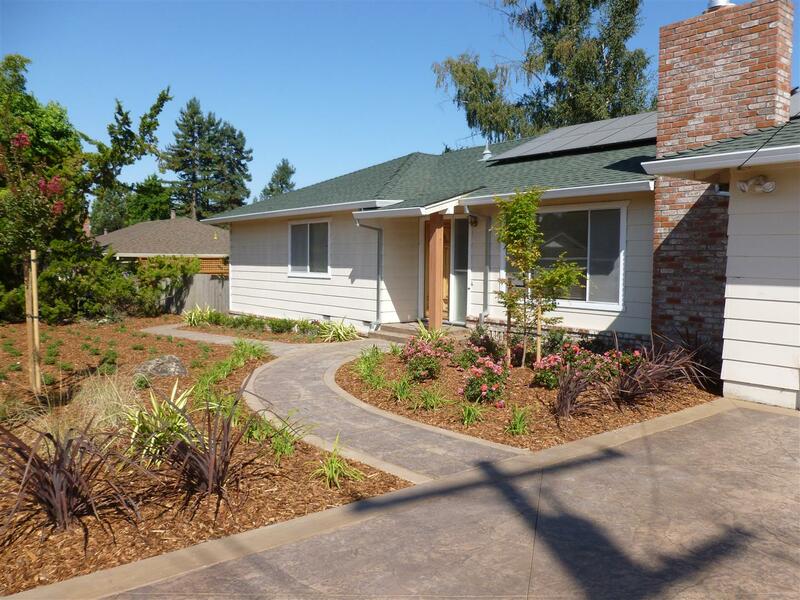 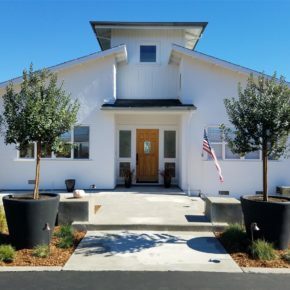 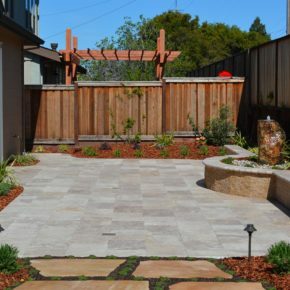 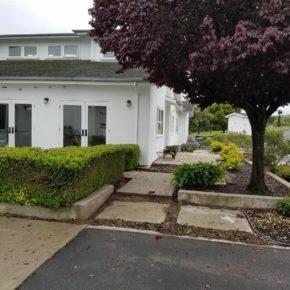 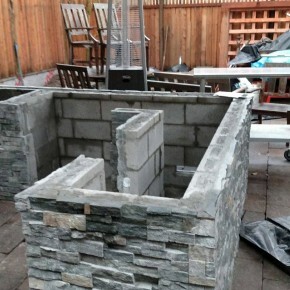 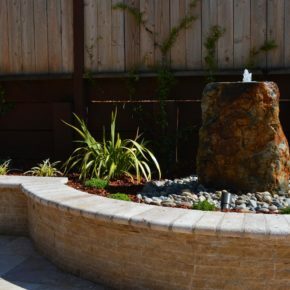 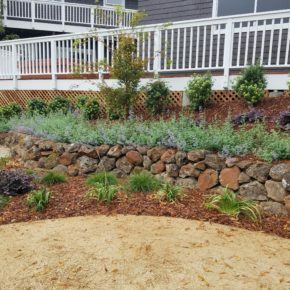 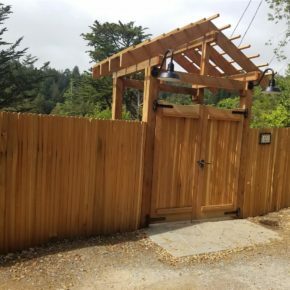 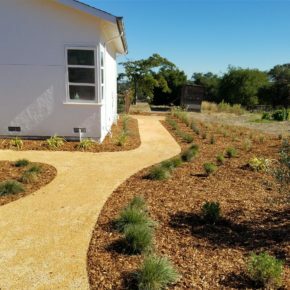 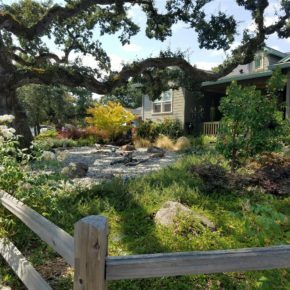 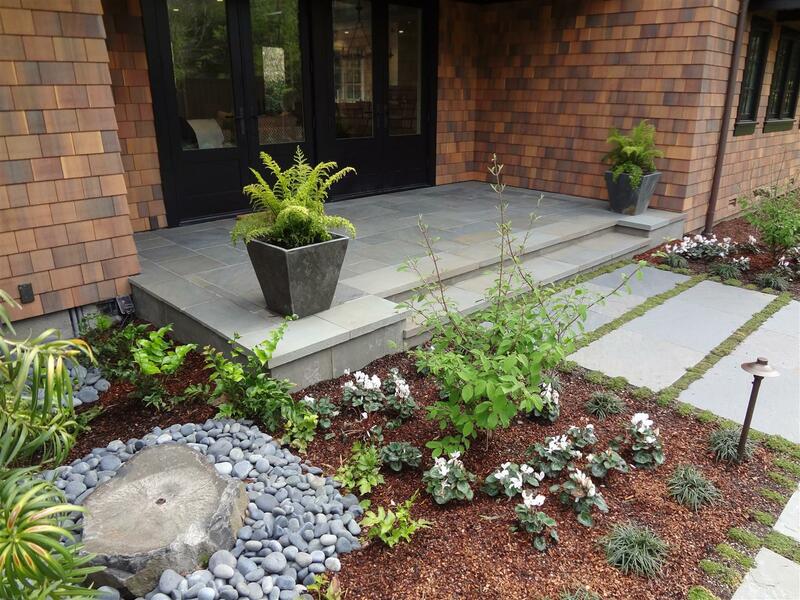 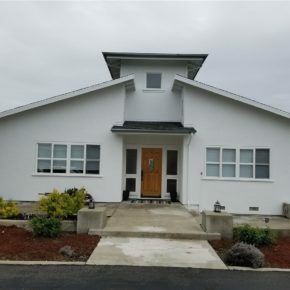 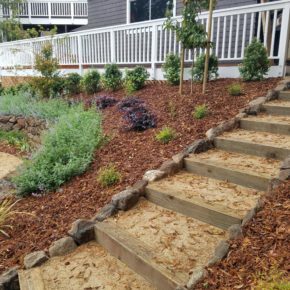 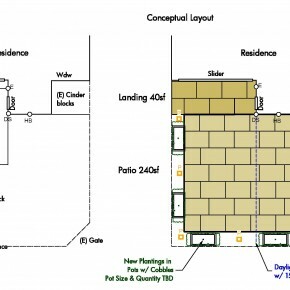 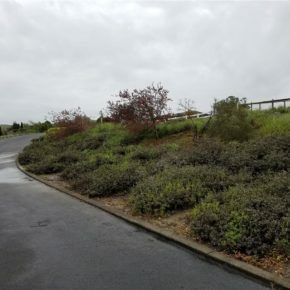 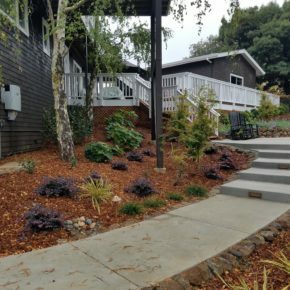 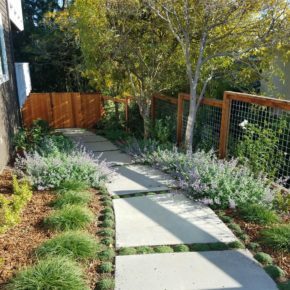 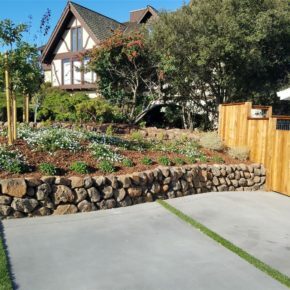 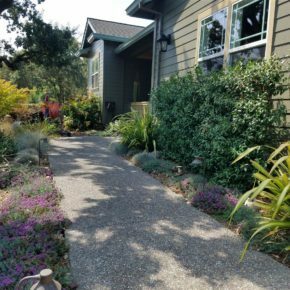 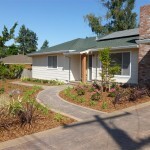 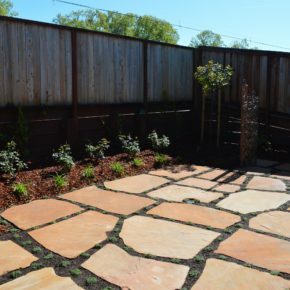 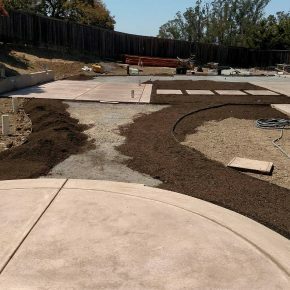 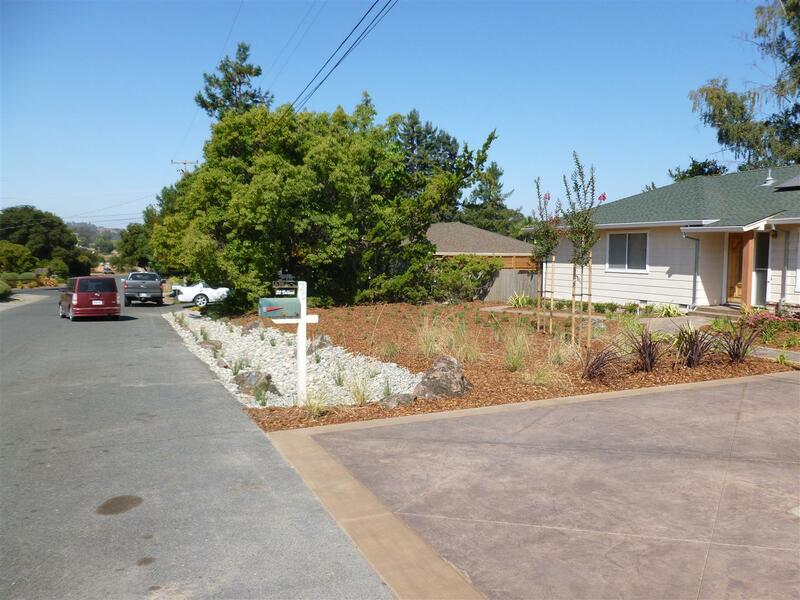 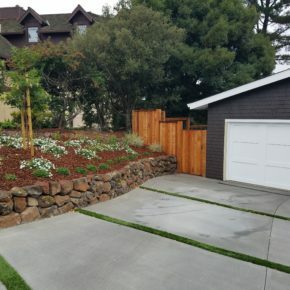 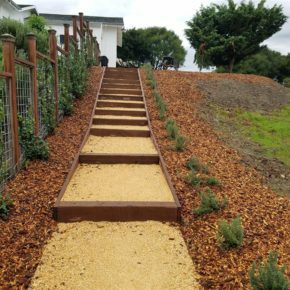 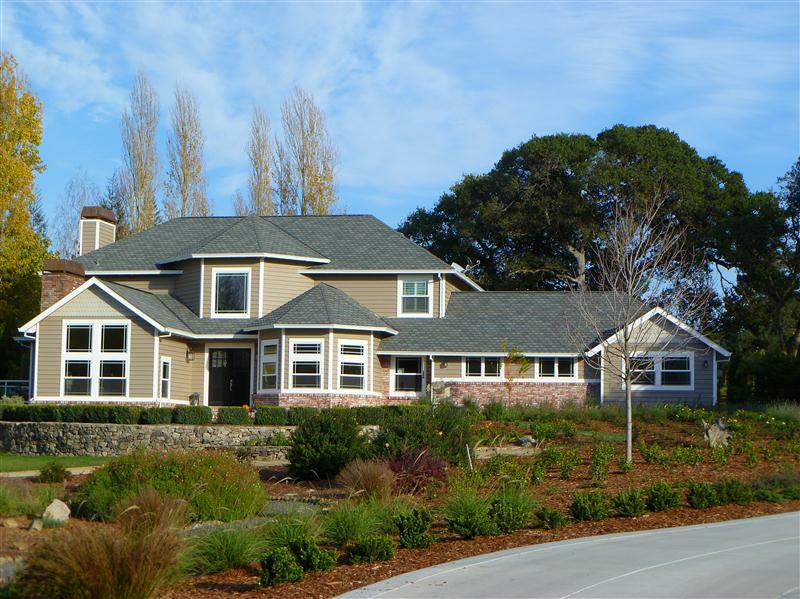 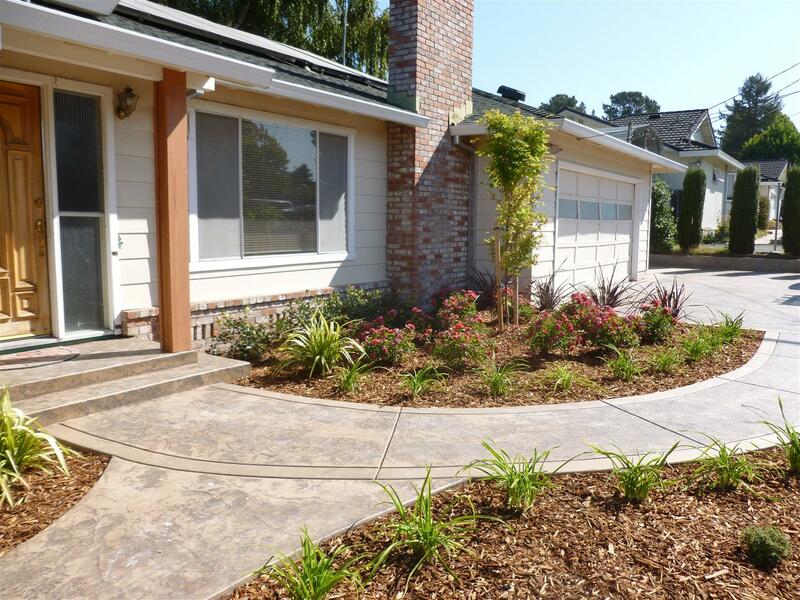 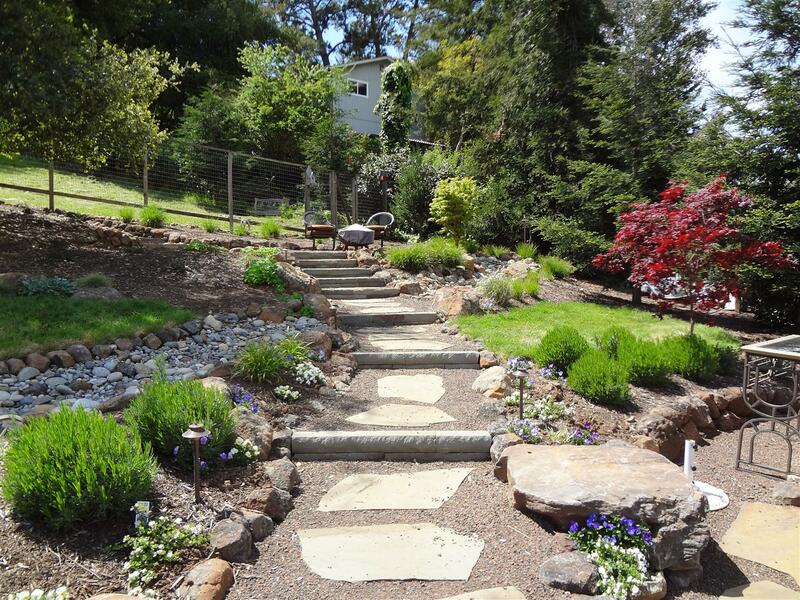 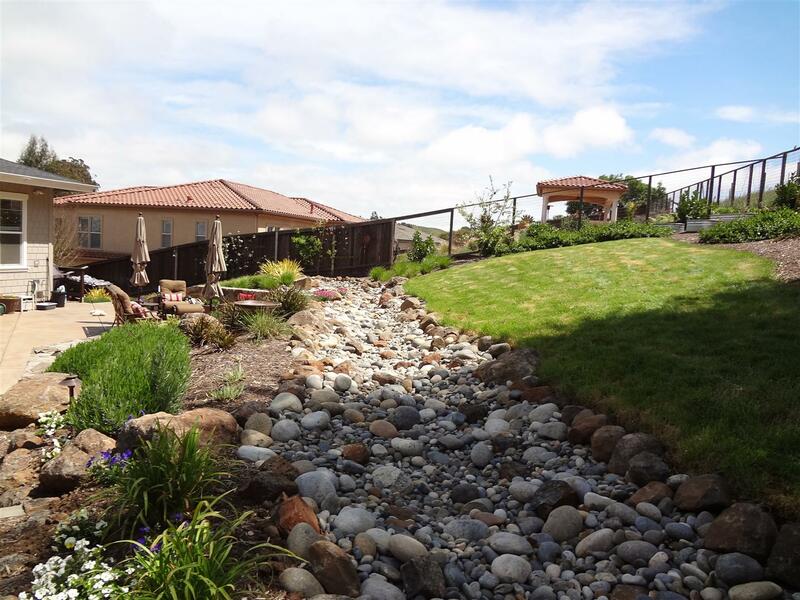 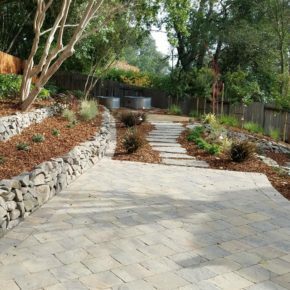 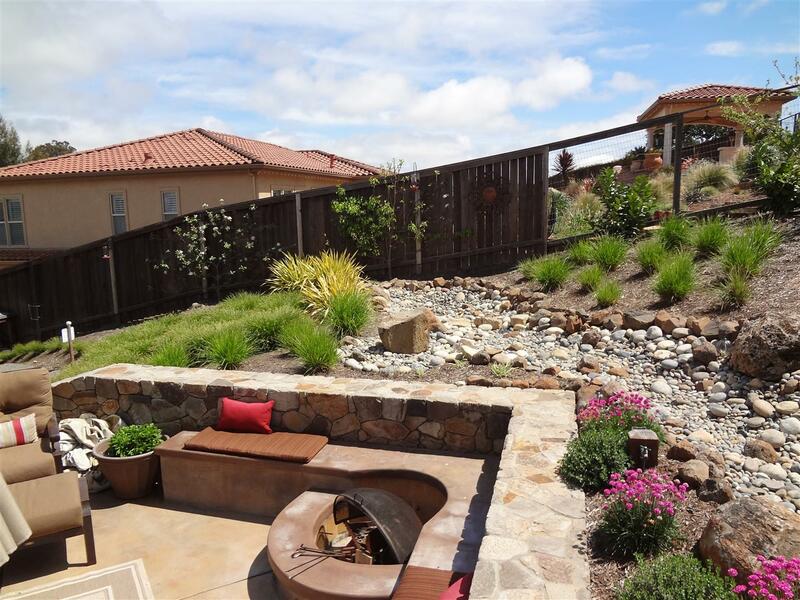 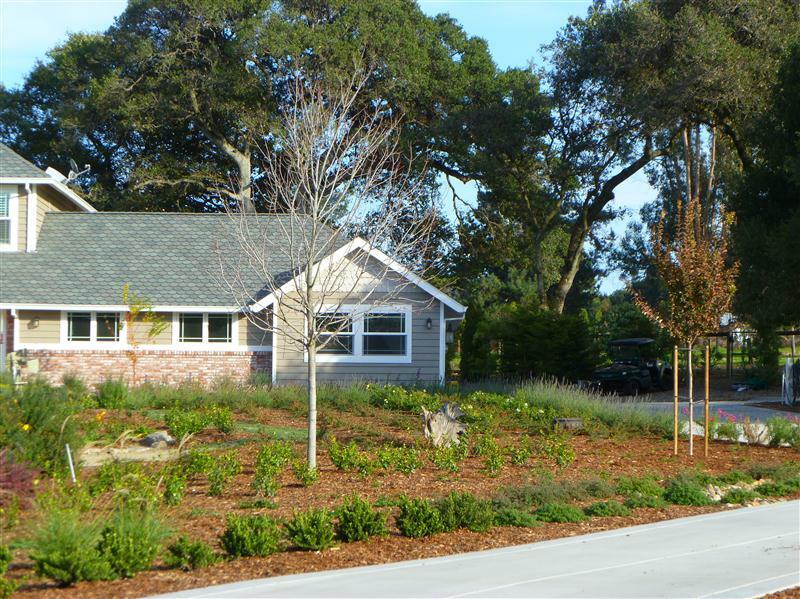 The design for this project in Petaluma focuses around a completely new hardscape for the front and back yards including new driveway, entry walkway and rear patio. 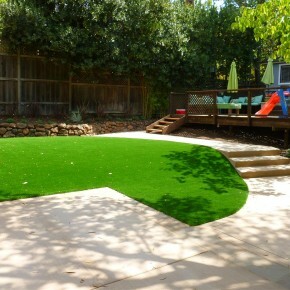 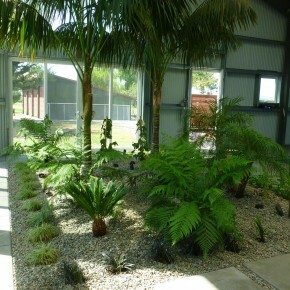 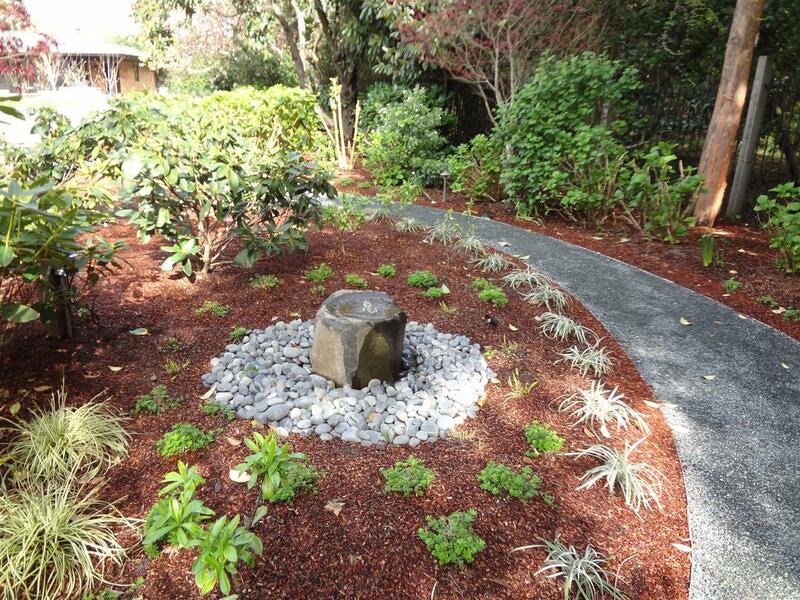 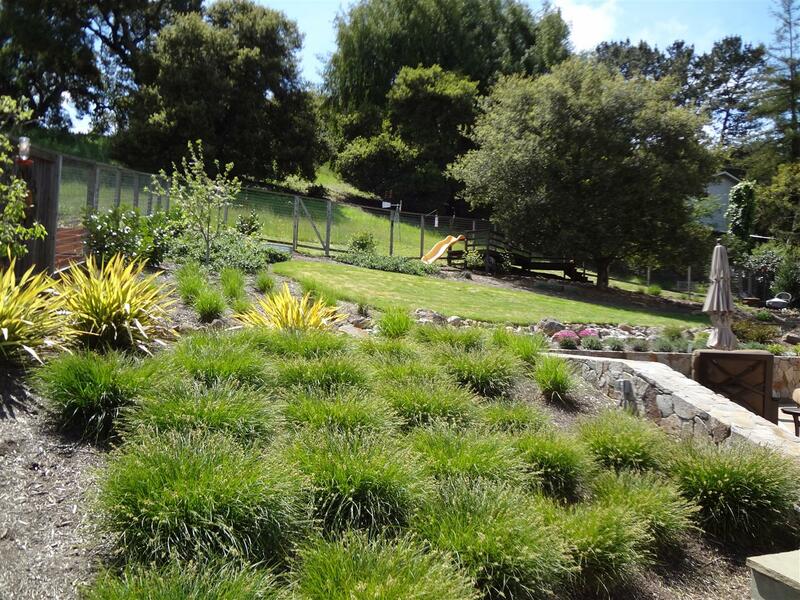 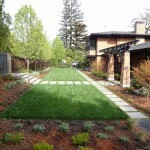 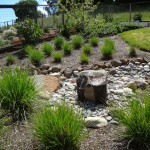 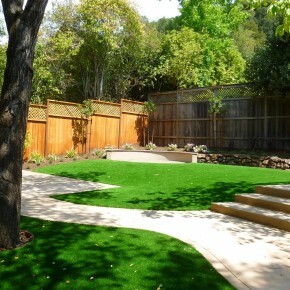 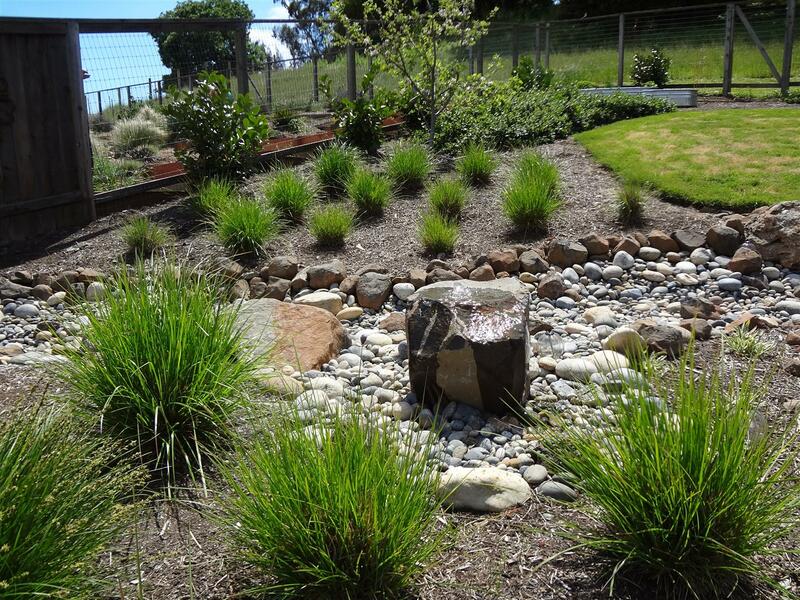 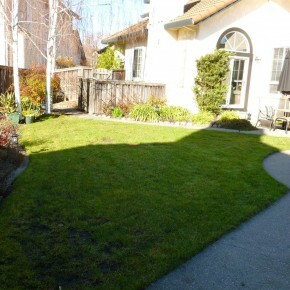 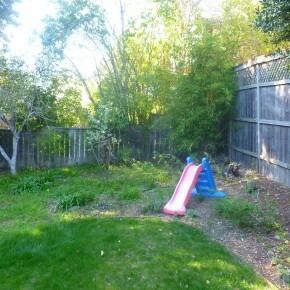 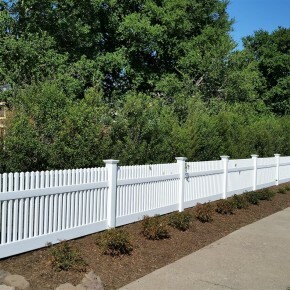 What had been lawns in the front and back yard, become low maintenance planting areas with more usable space. 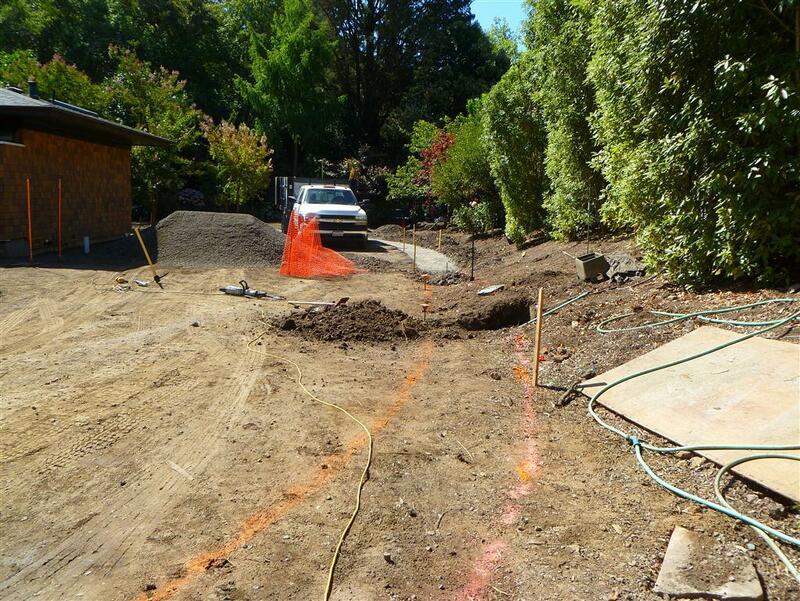 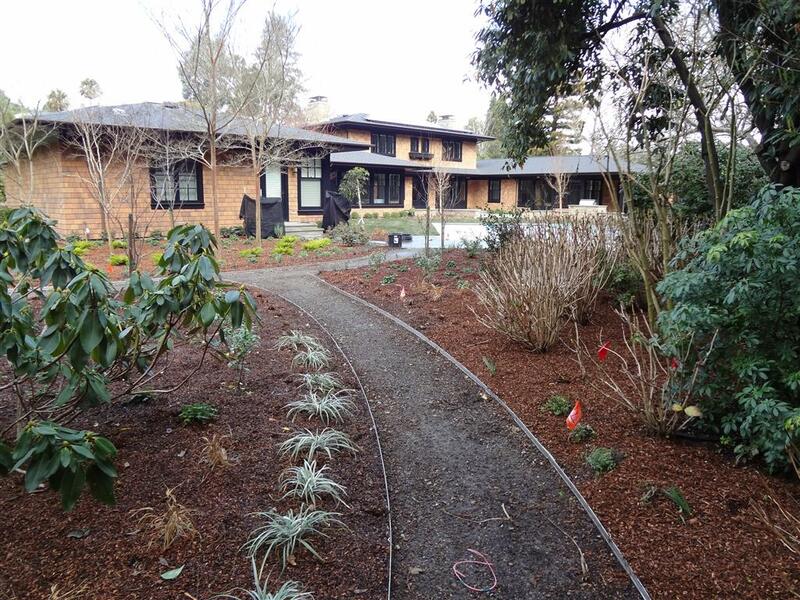 We are just wrapping up work on this project in Kent Woodlands, a complete re-landscaping for a large new home. 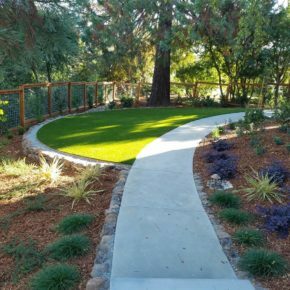 The project, designed by Bradanini and Associates incorporated new bluestone patios, extensive walkways, mediterranean and shade garden areas, a redone swimming pool and large synthetic turf putting green. 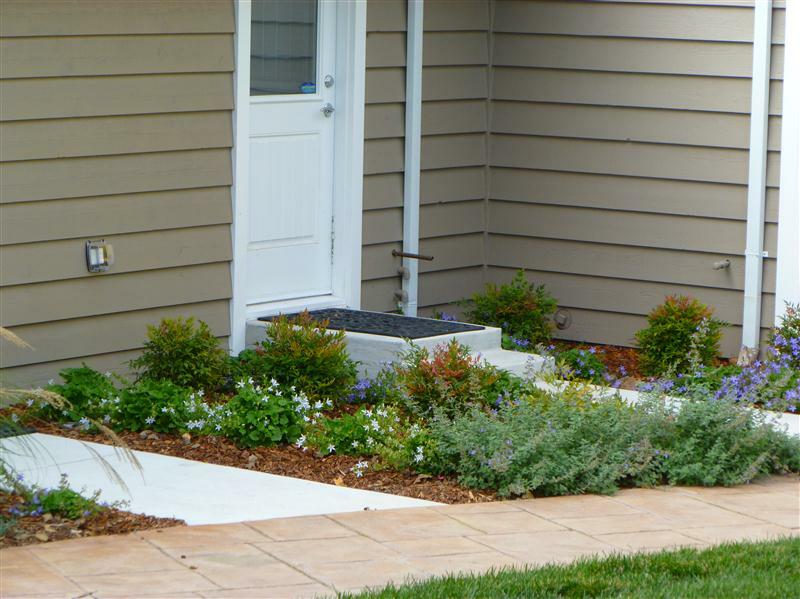 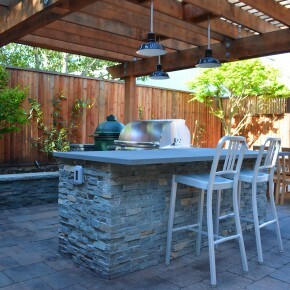 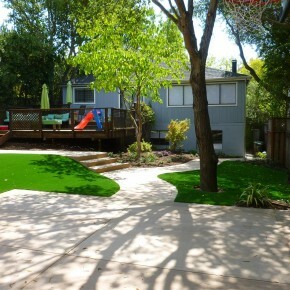 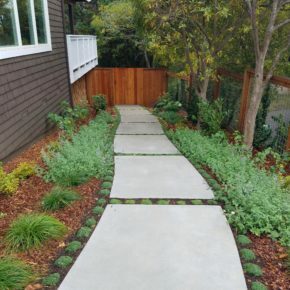 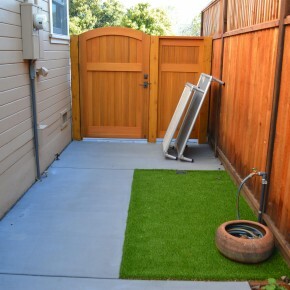 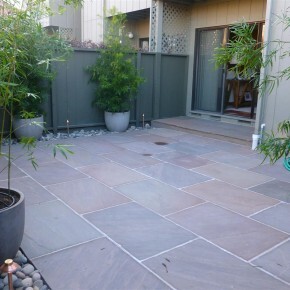 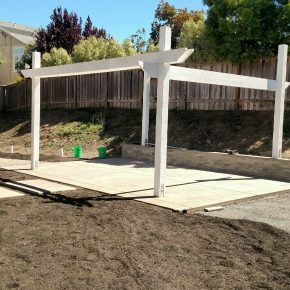 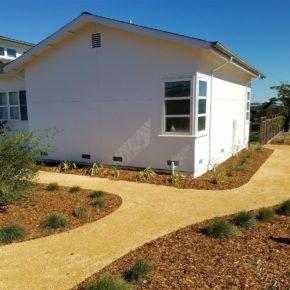 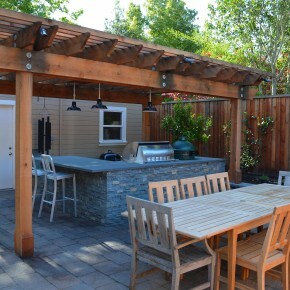 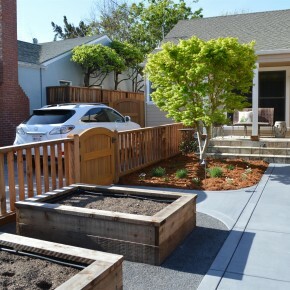 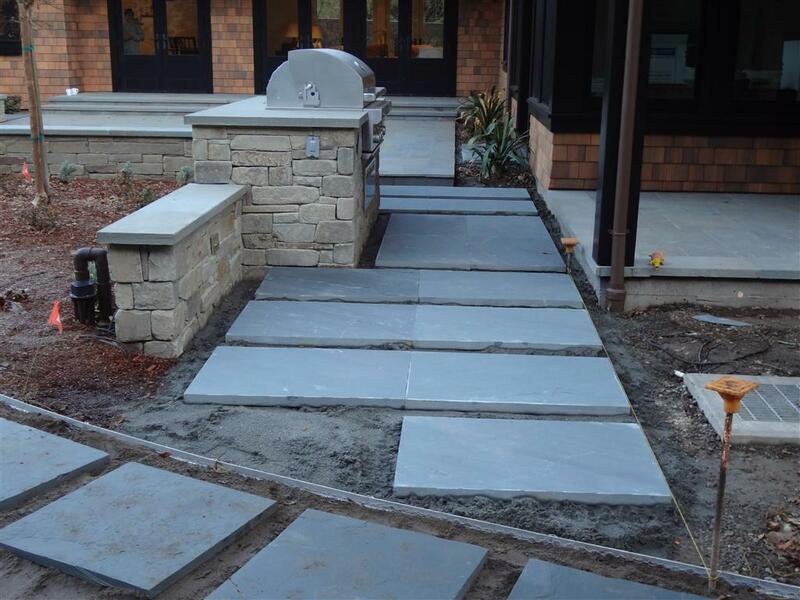 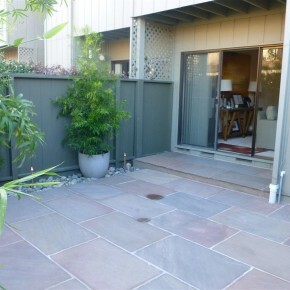 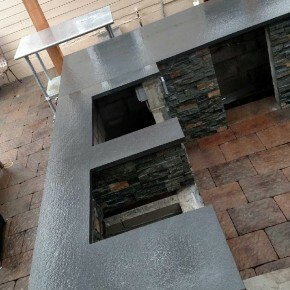 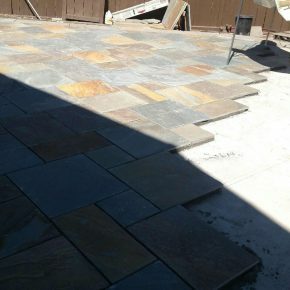 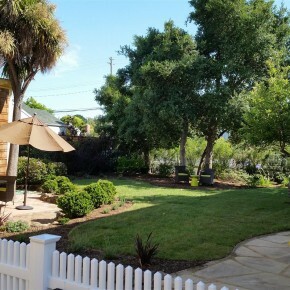 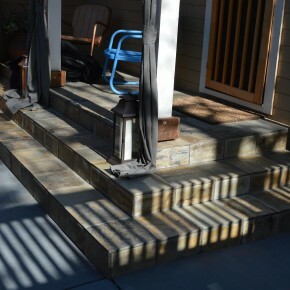 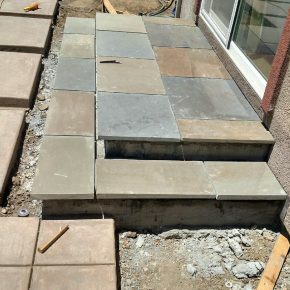 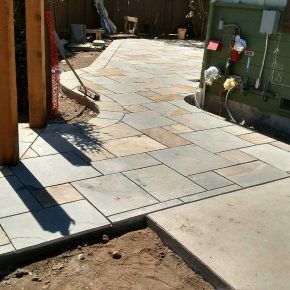 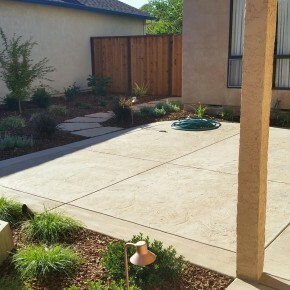 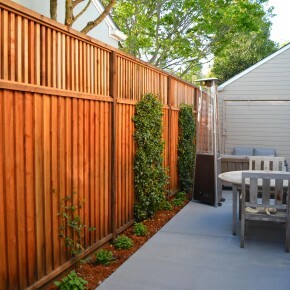 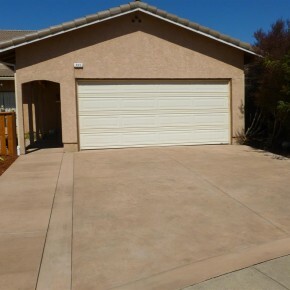 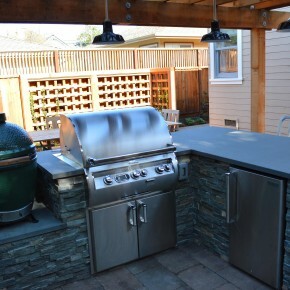 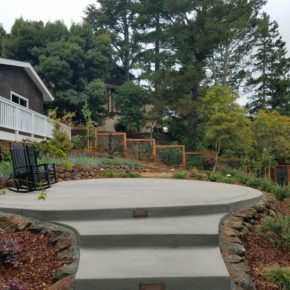 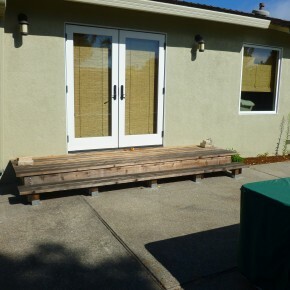 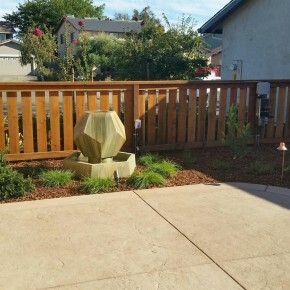 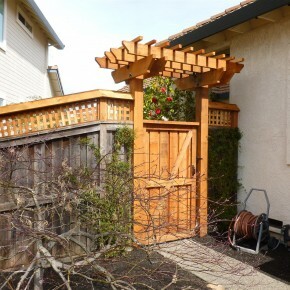 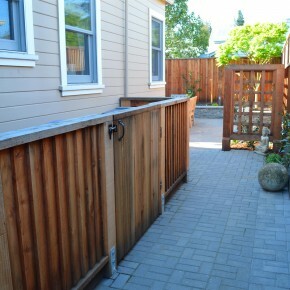 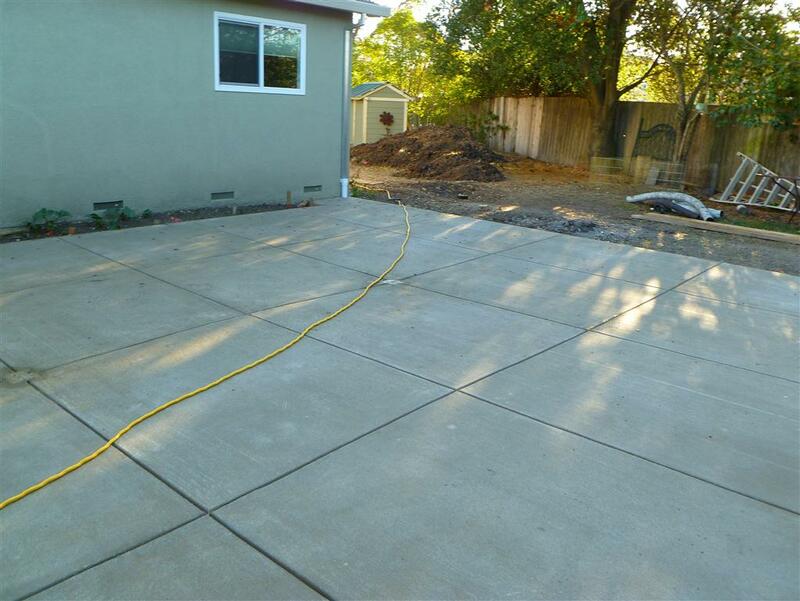 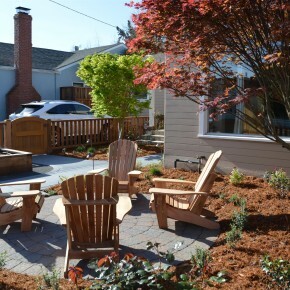 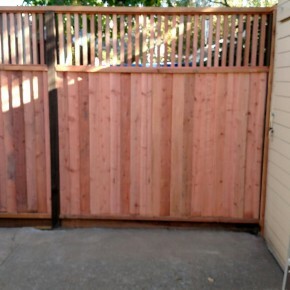 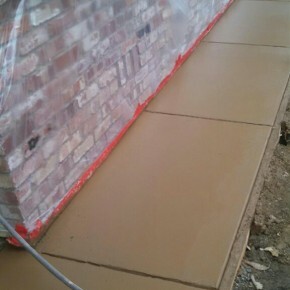 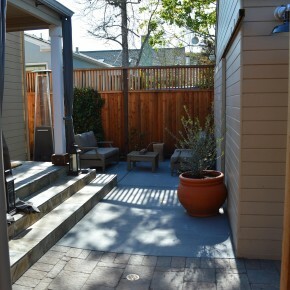 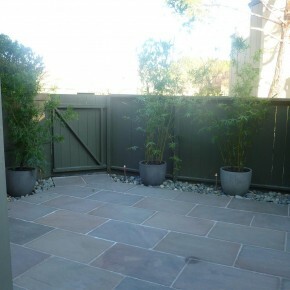 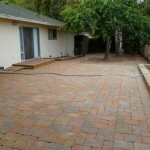 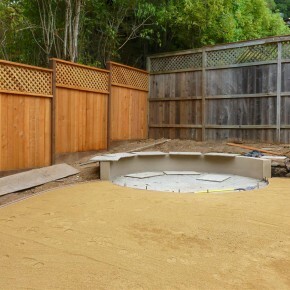 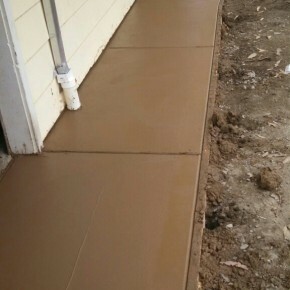 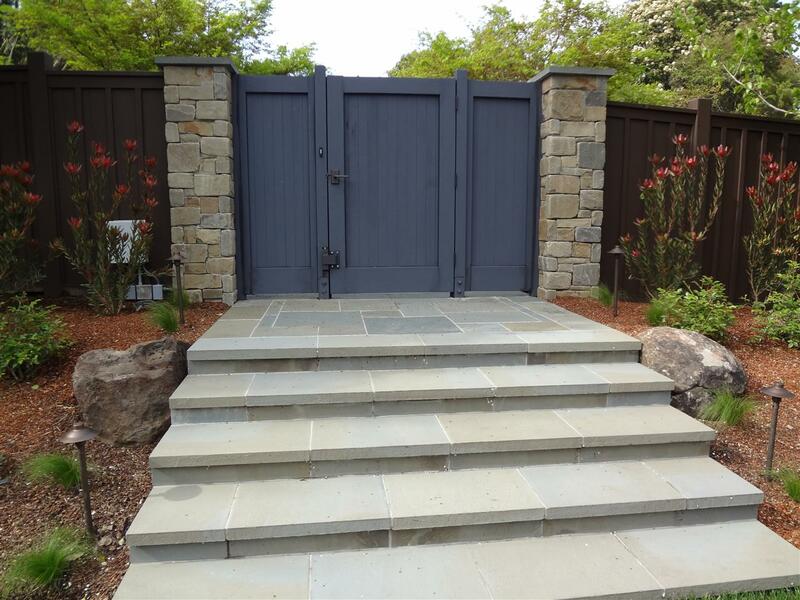 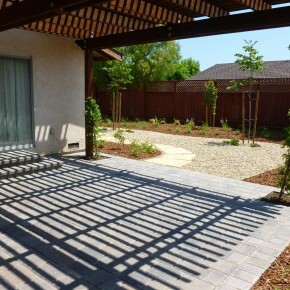 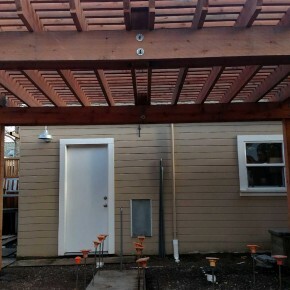 For this project in Petaluma we removed an existing rear patio and installed a new colored concrete patio, BBQ area, and modern floating square concrete slab entry path. 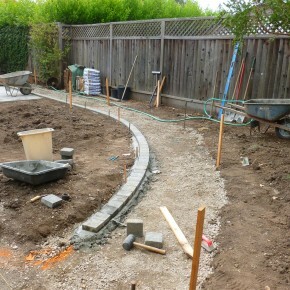 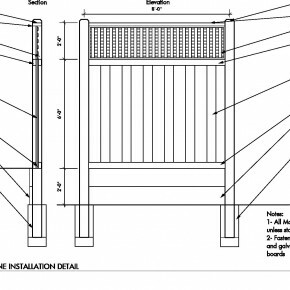 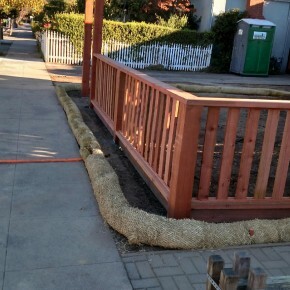 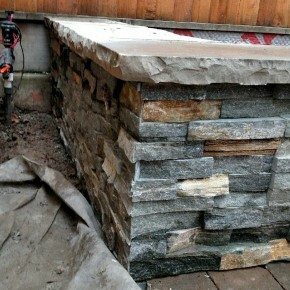 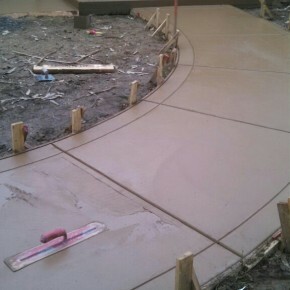 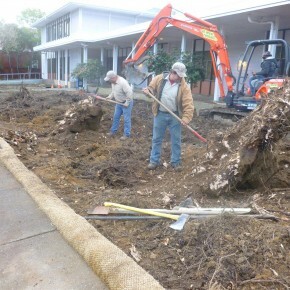 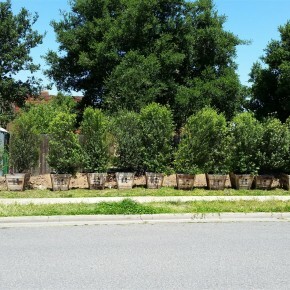 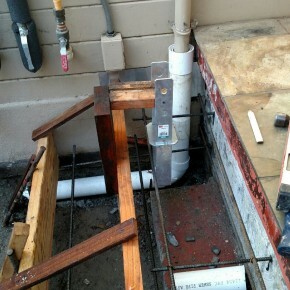 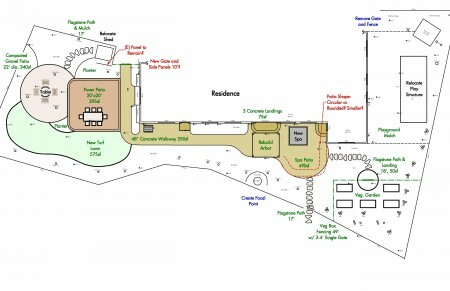 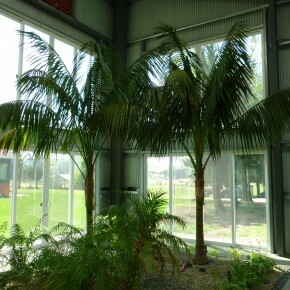 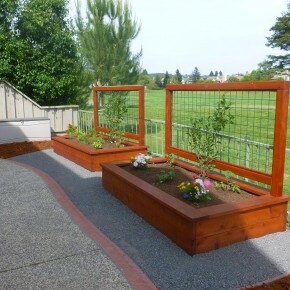 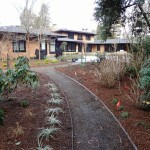 The landscape will be installed in phase 2 of the project. 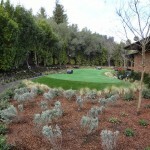 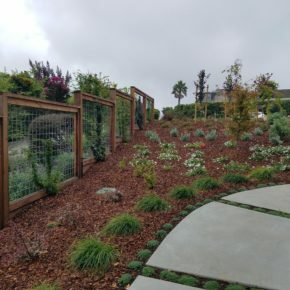 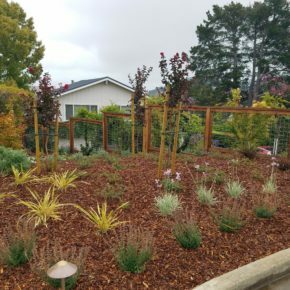 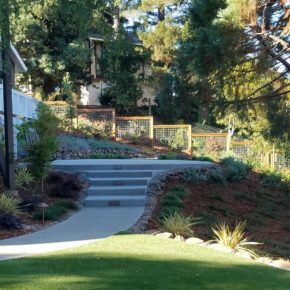 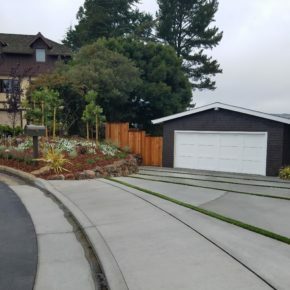 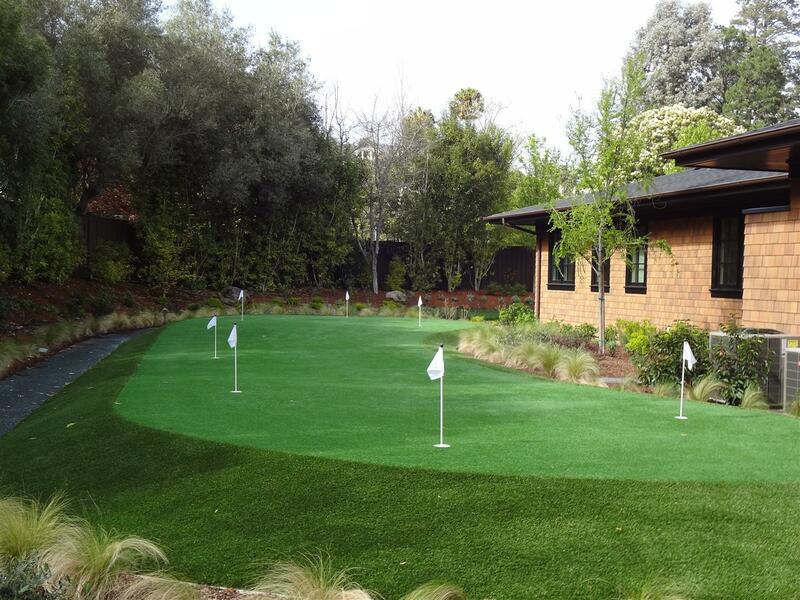 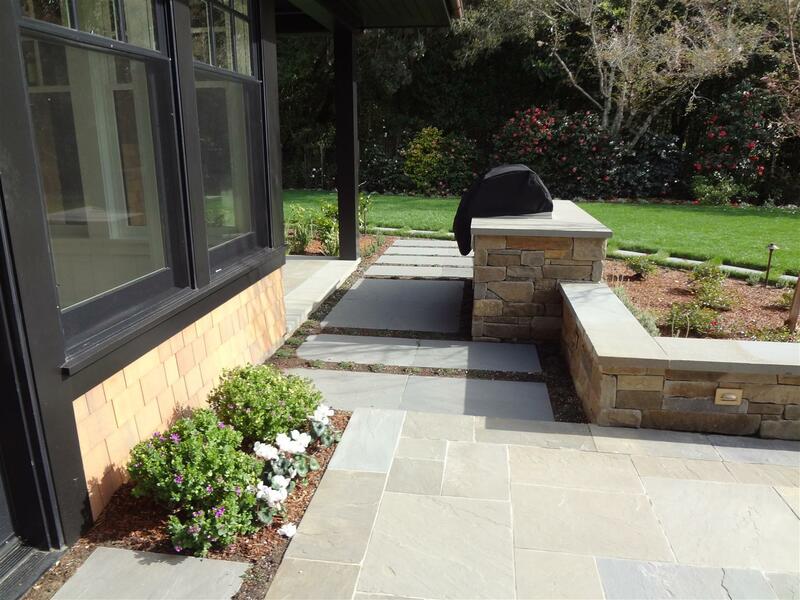 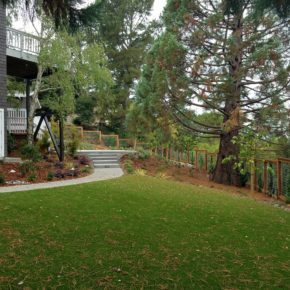 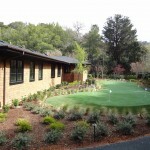 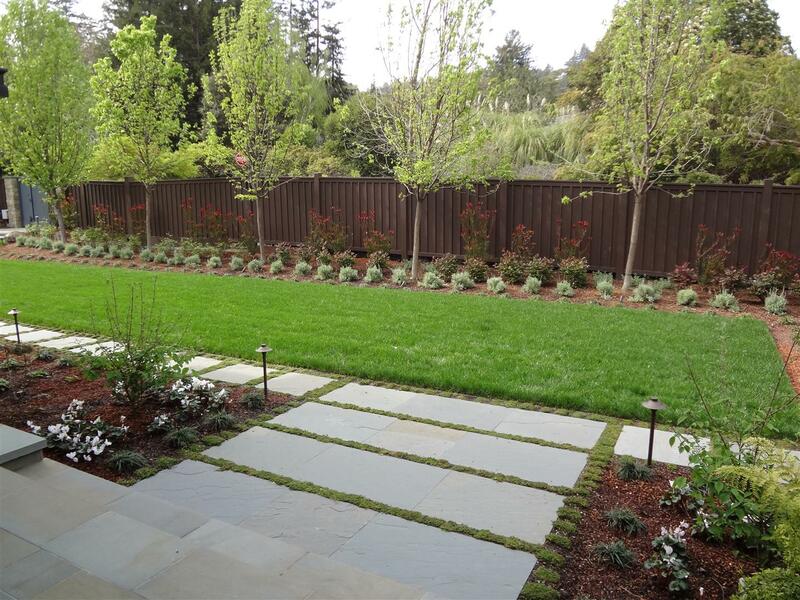 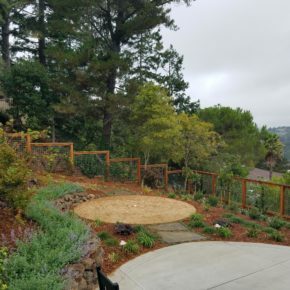 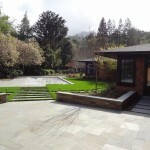 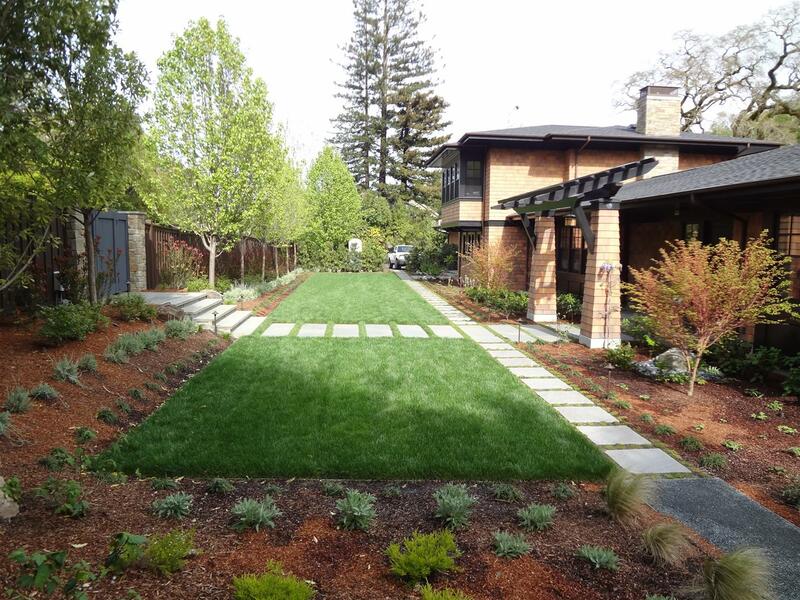 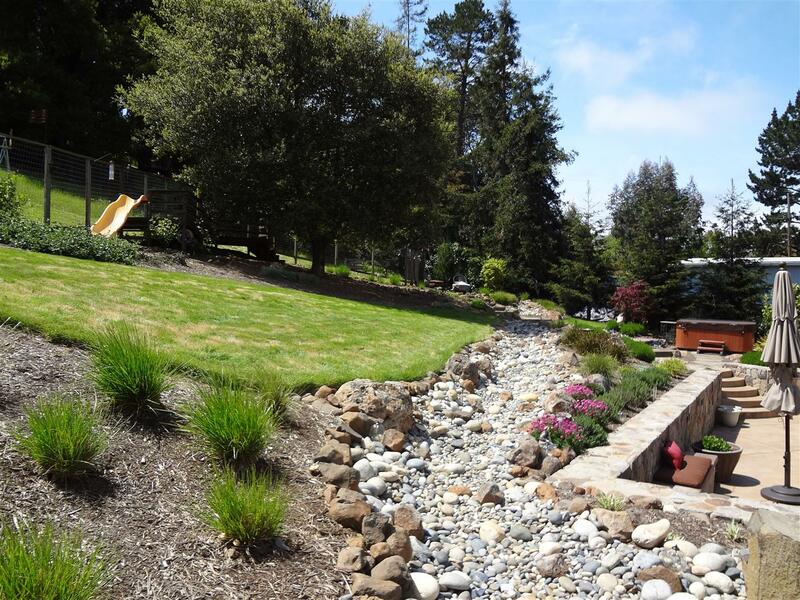 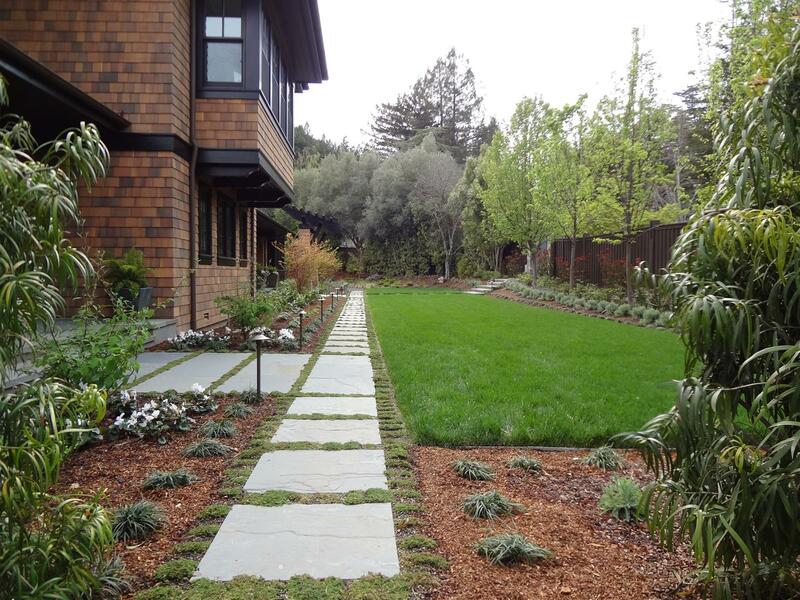 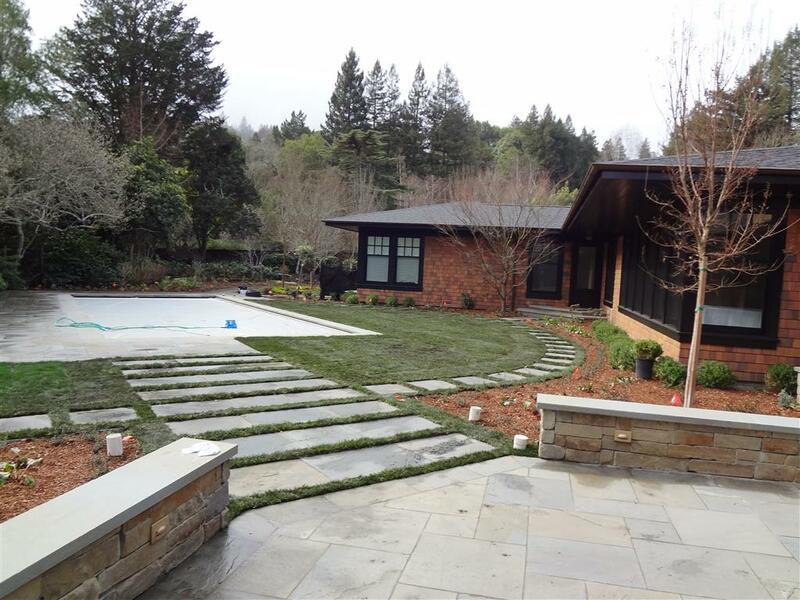 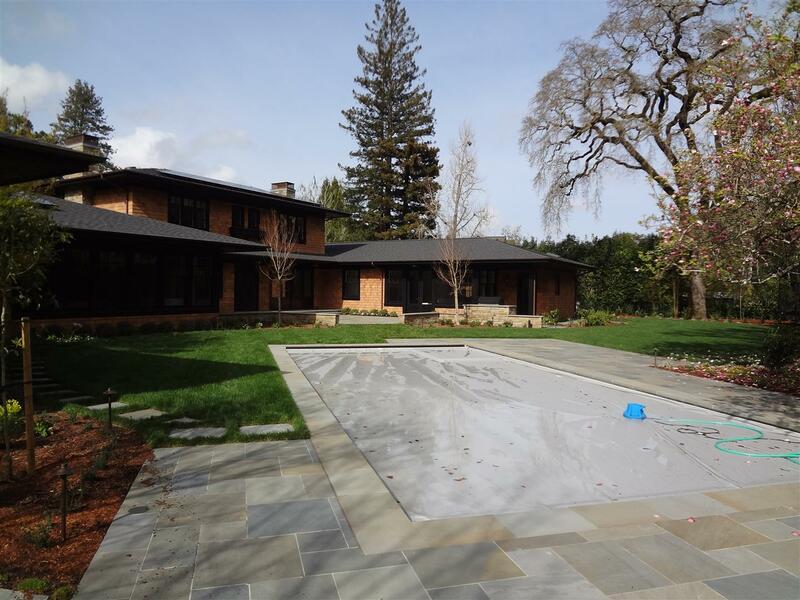 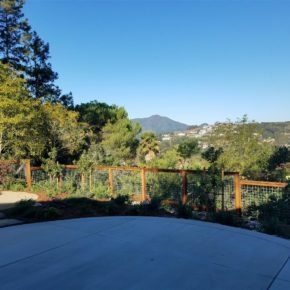 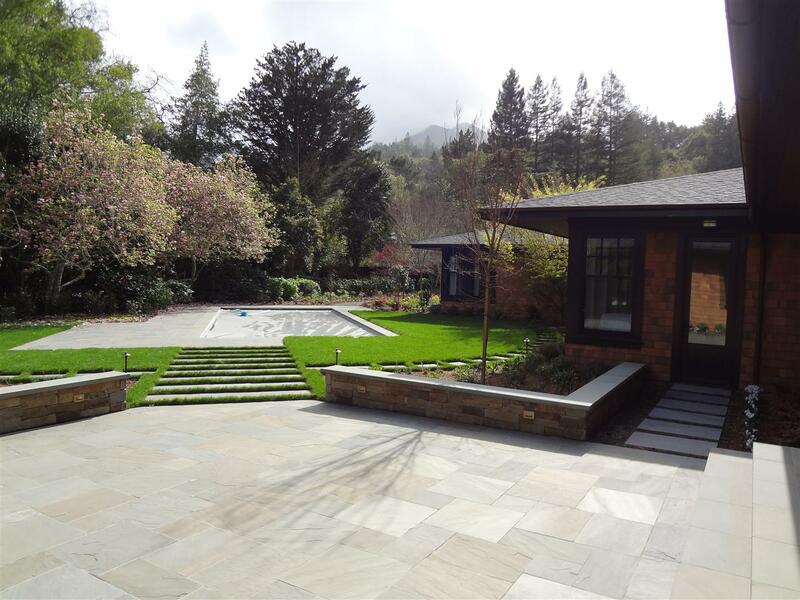 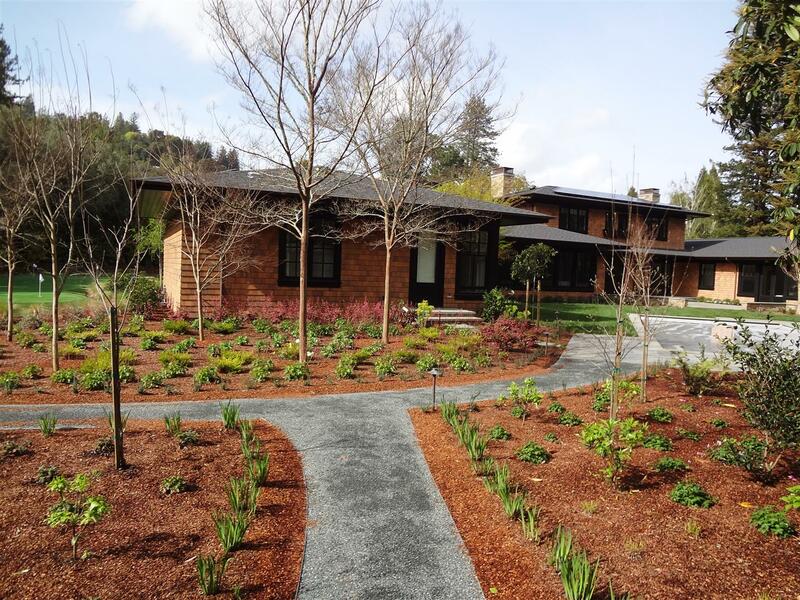 We are wrapping up this project in Kentfield that featured large plantings around the newly remodeled home, dry laid bluestone paths, and a synthetic putting green. 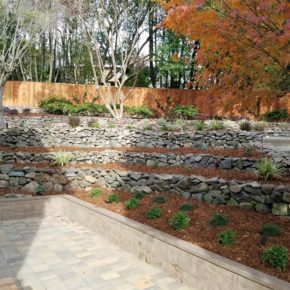 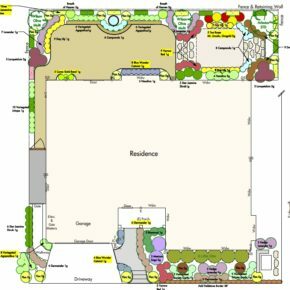 We are working on a large home renovation in Kent Woodlands, which includes a beautiful new garden installation to compliment the new home. 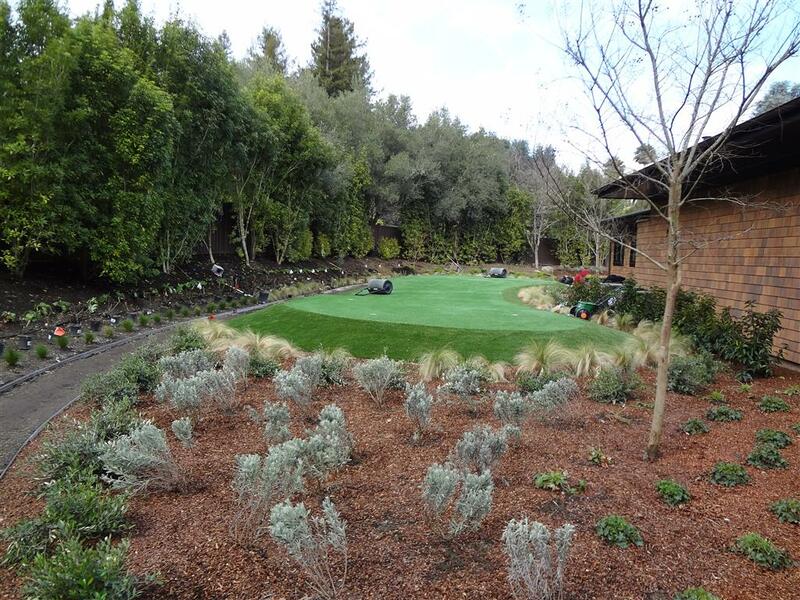 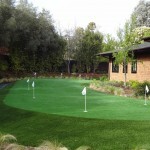 Project elements include lawns with sub-surface irrigation, bluestone slab paths, and a large synthetic turf putting green. 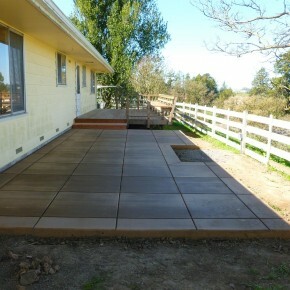 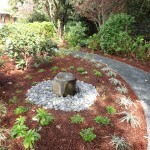 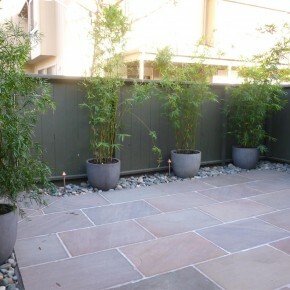 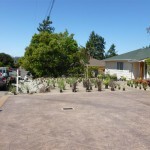 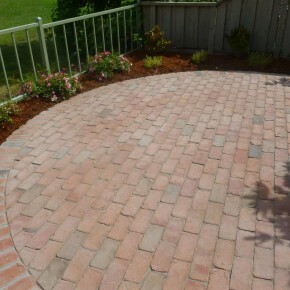 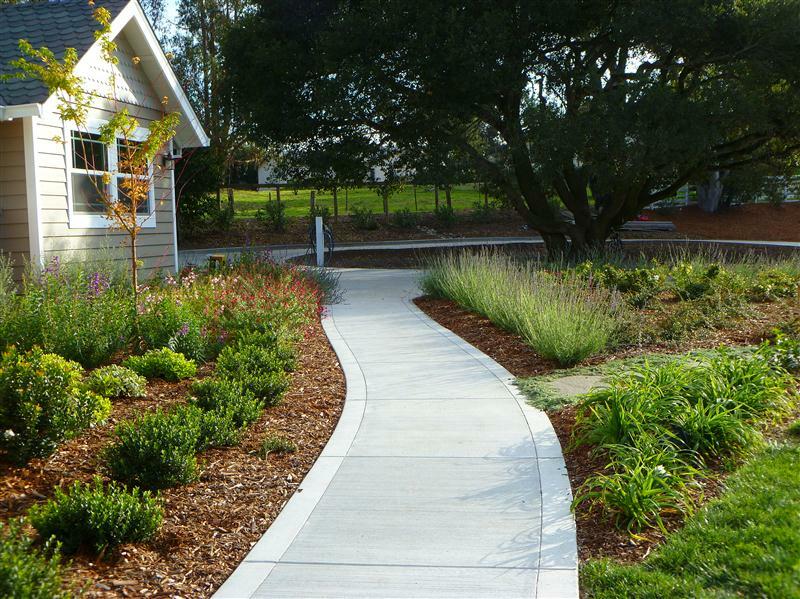 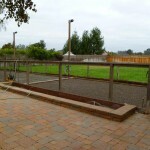 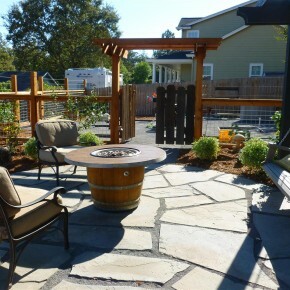 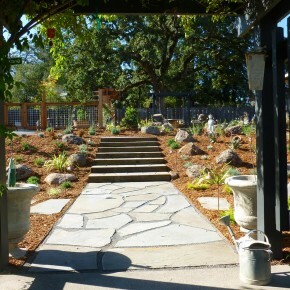 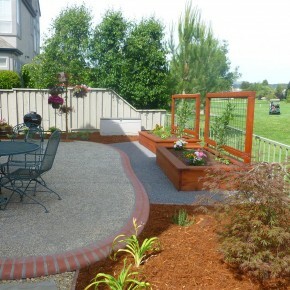 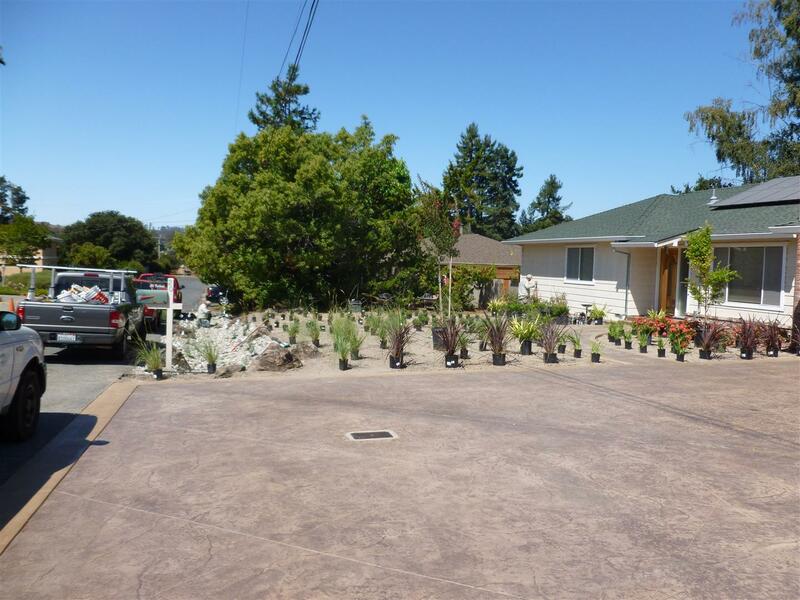 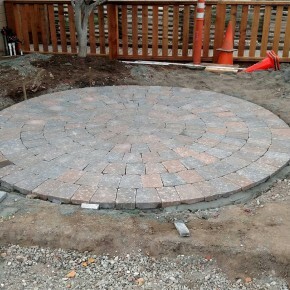 Here is a large McNear Paver and planter installation for a project in Petaluma. 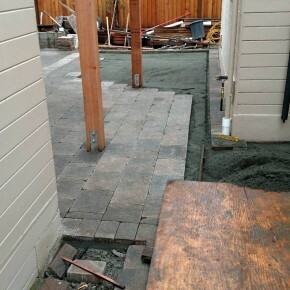 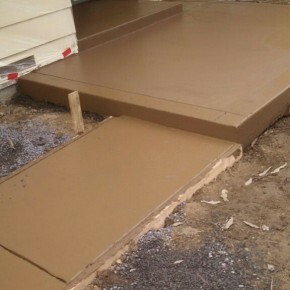 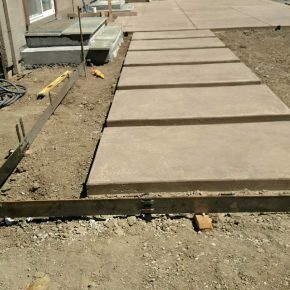 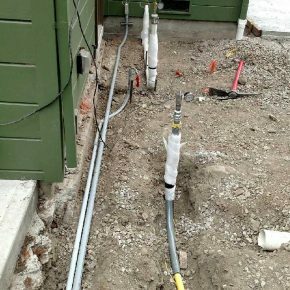 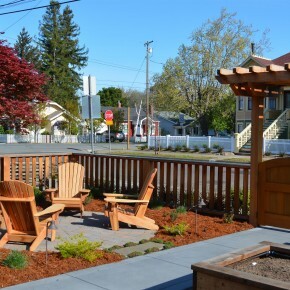 The old yard had a smaller concrete patio that we installed the pavers directly over, minimizing excavation and debris disposal.